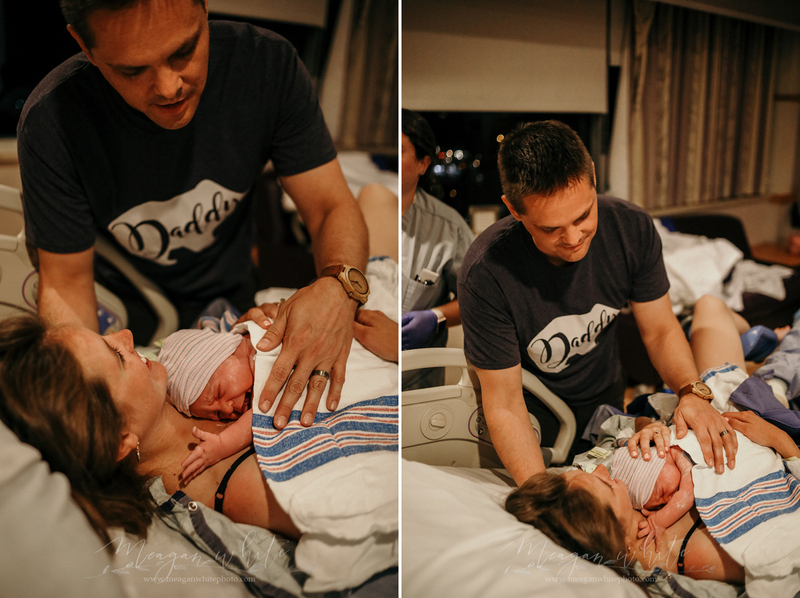 Darin and Emilee are two of the most special people I know, and their new little Levi is every bit of that, as well. 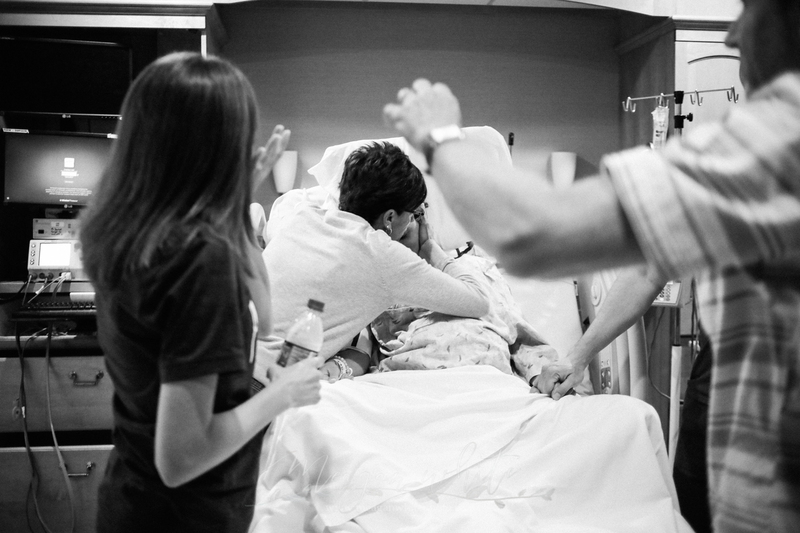 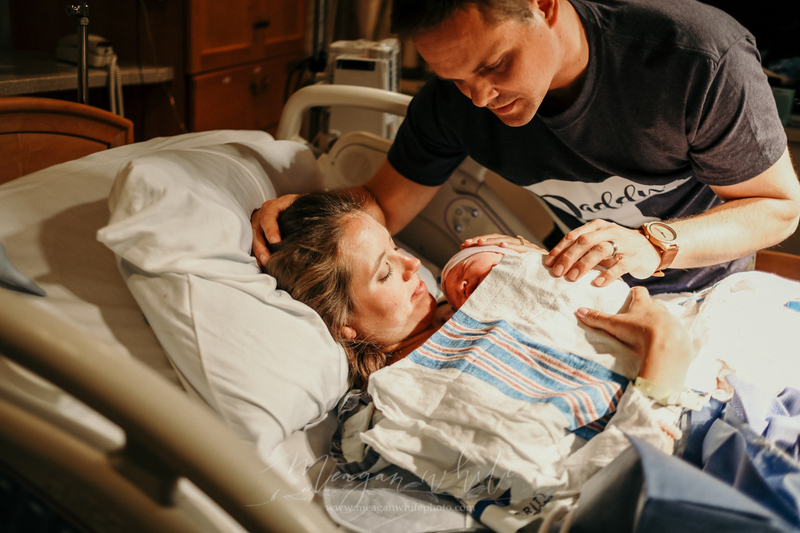 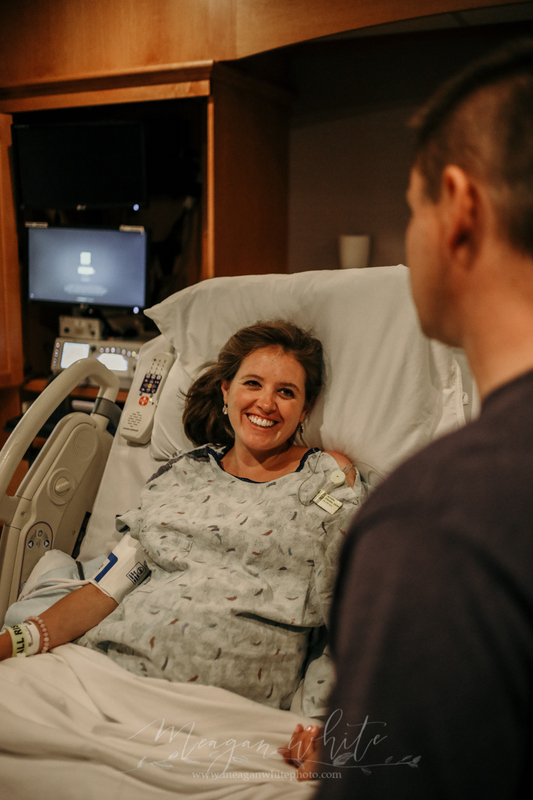 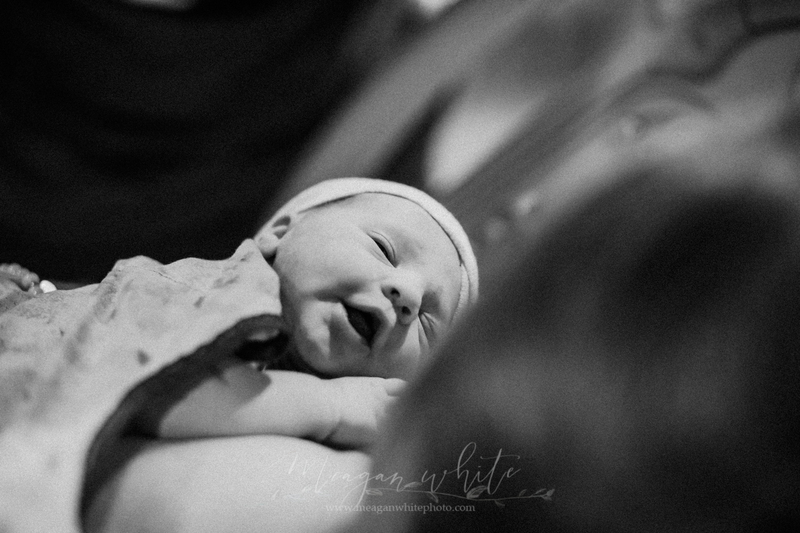 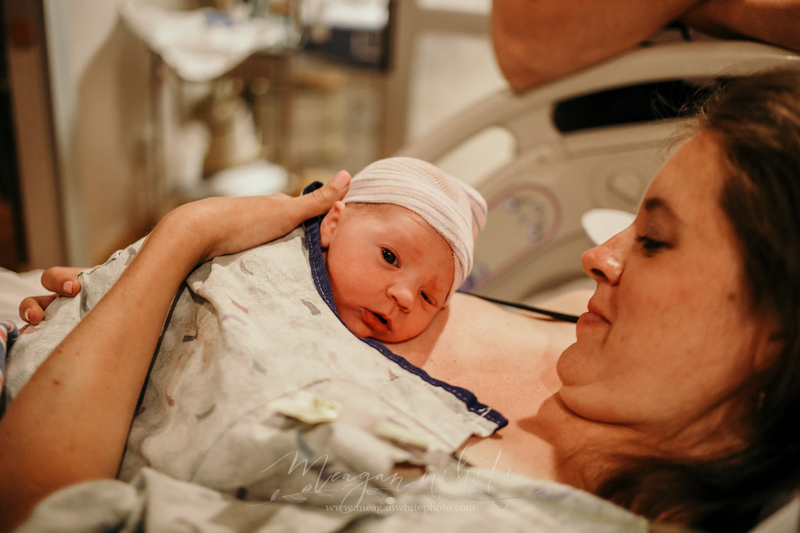 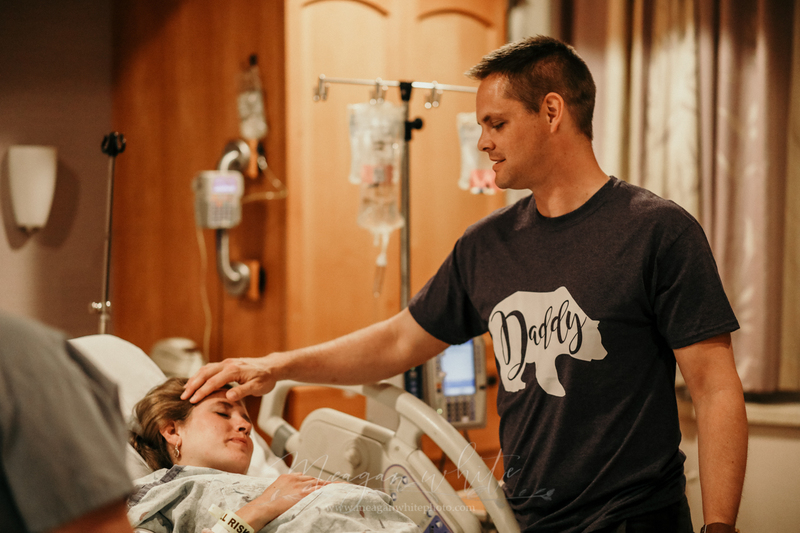 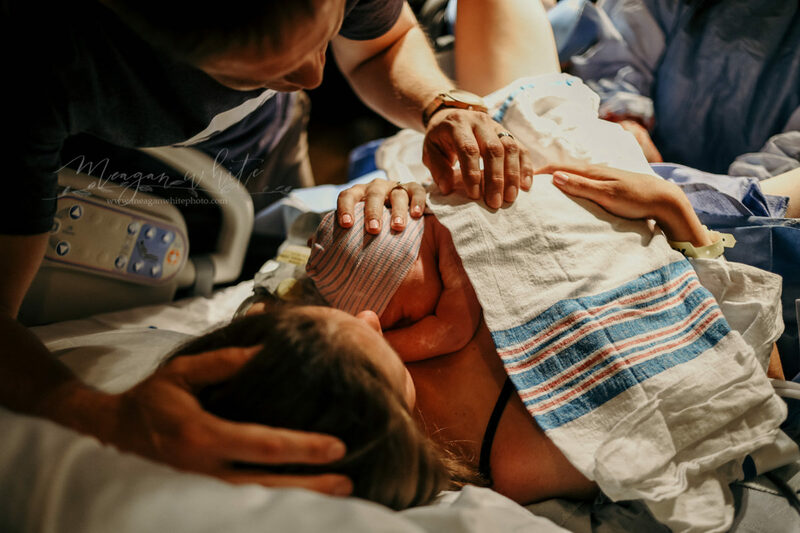 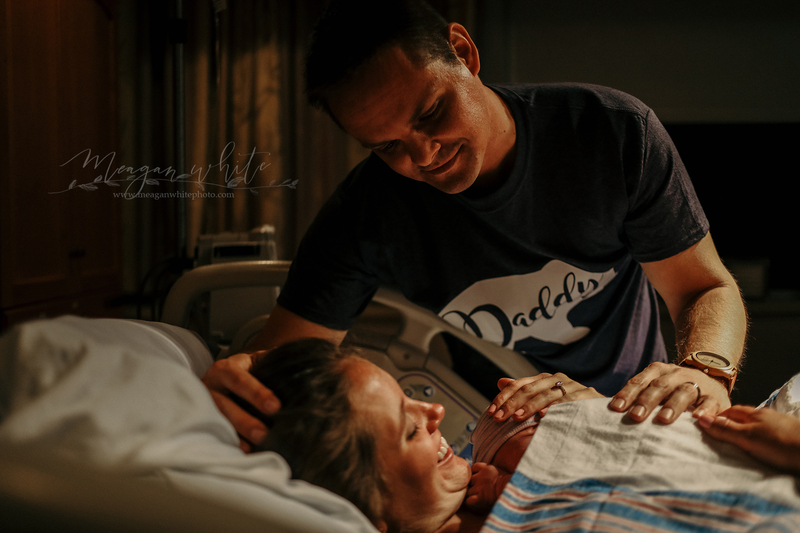 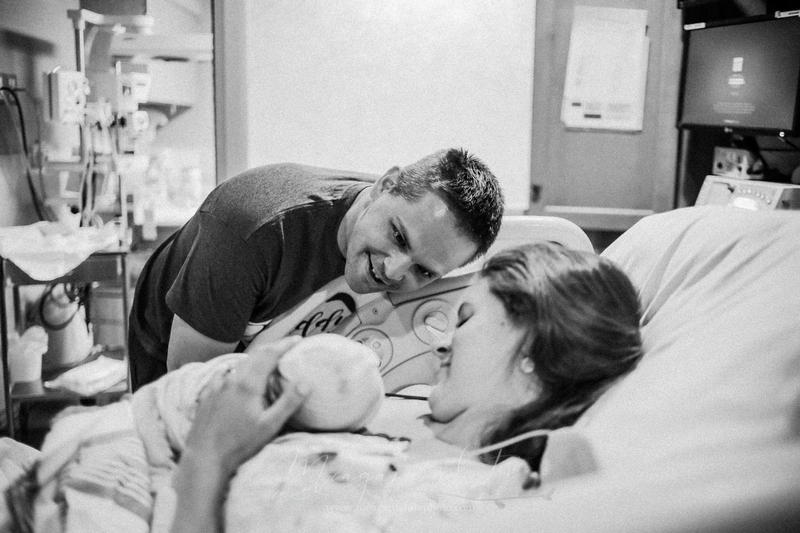 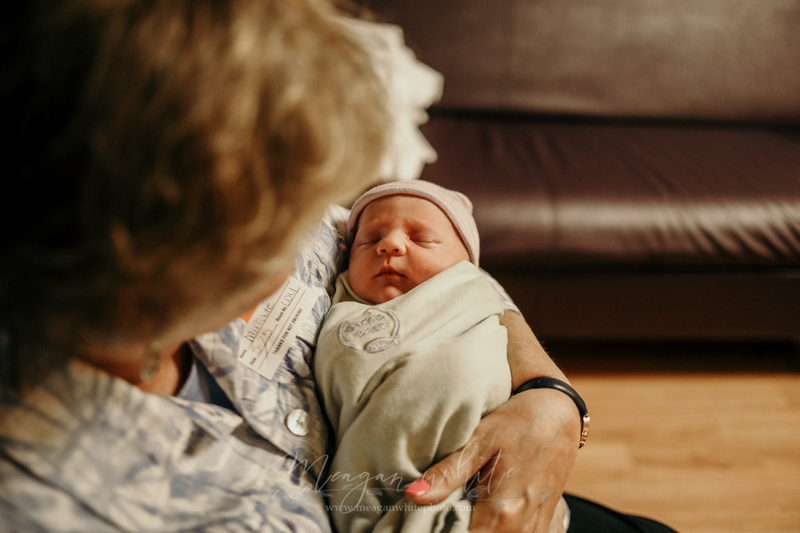 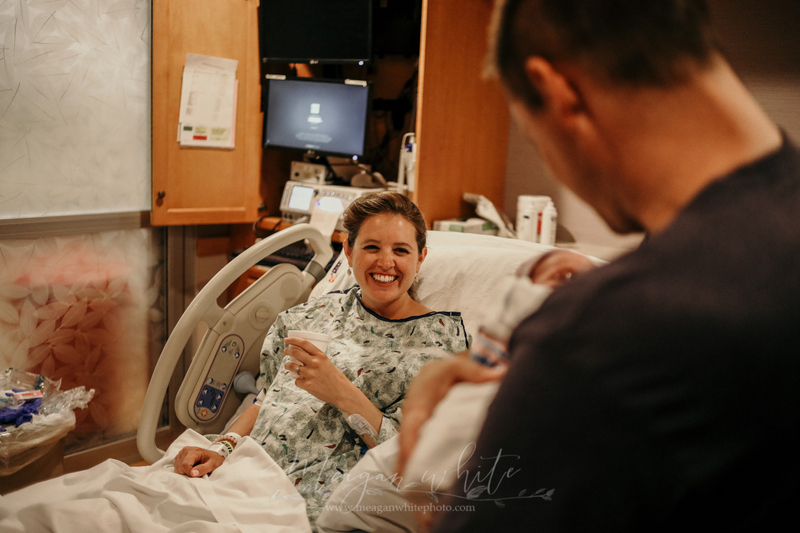 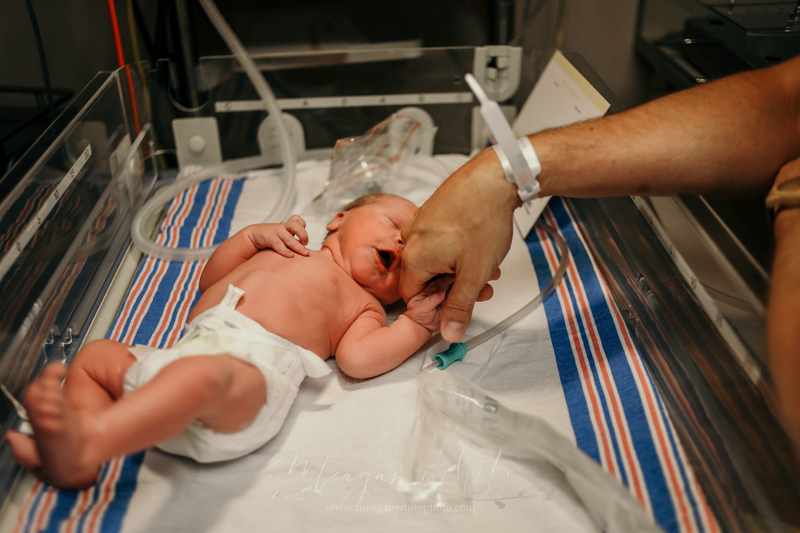 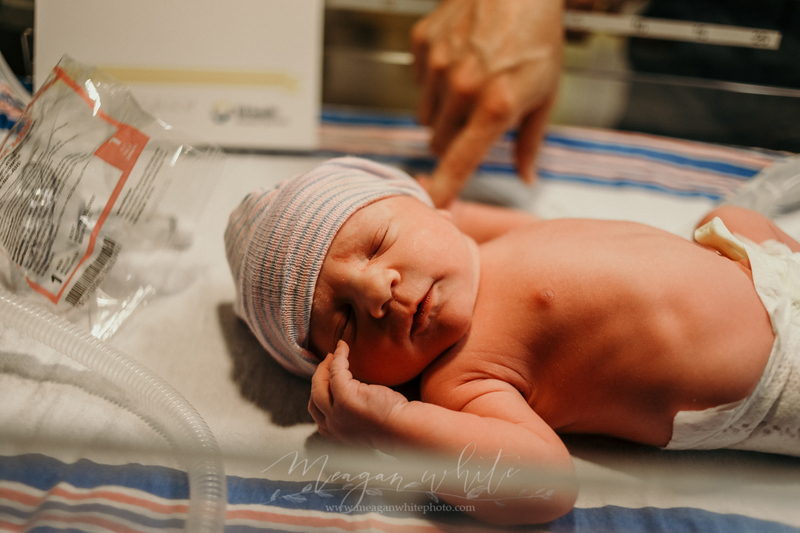 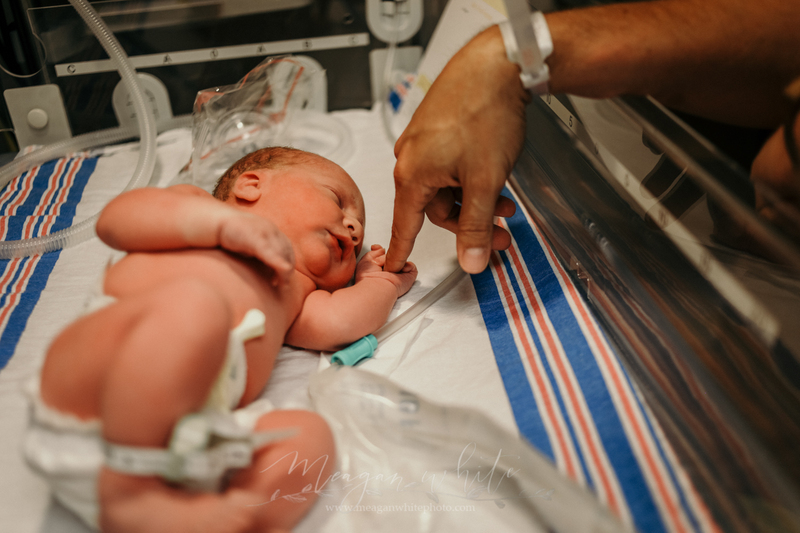 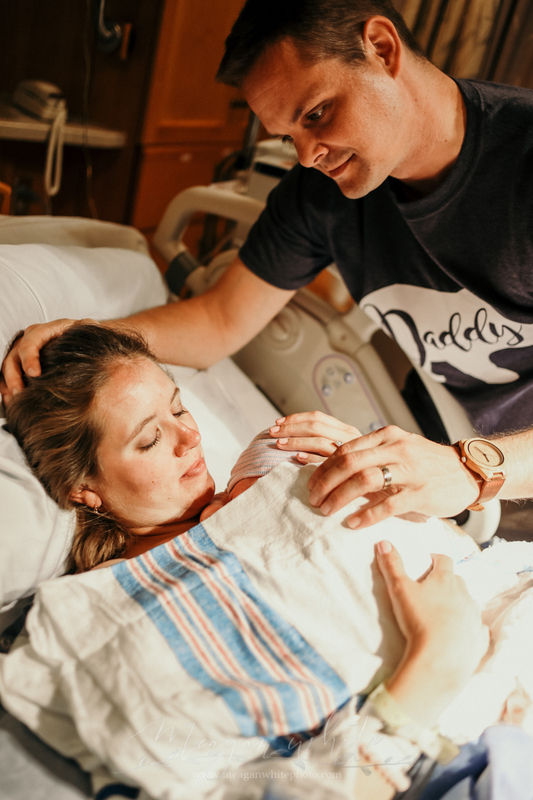 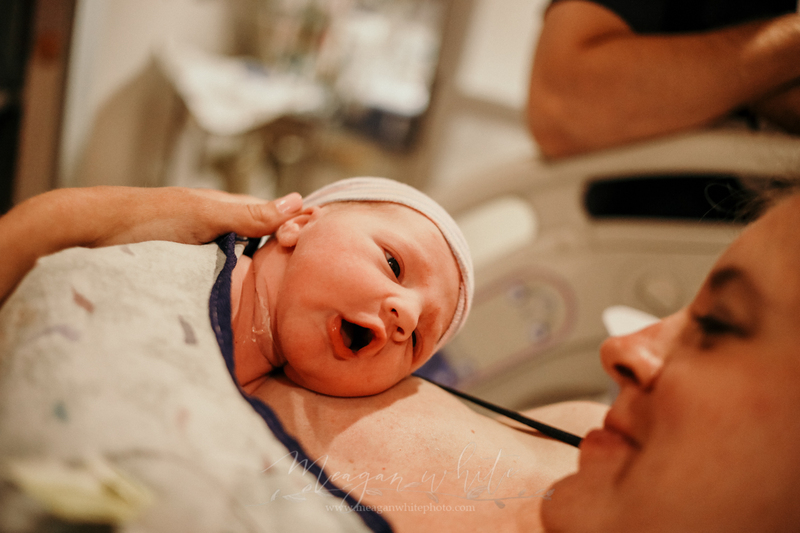 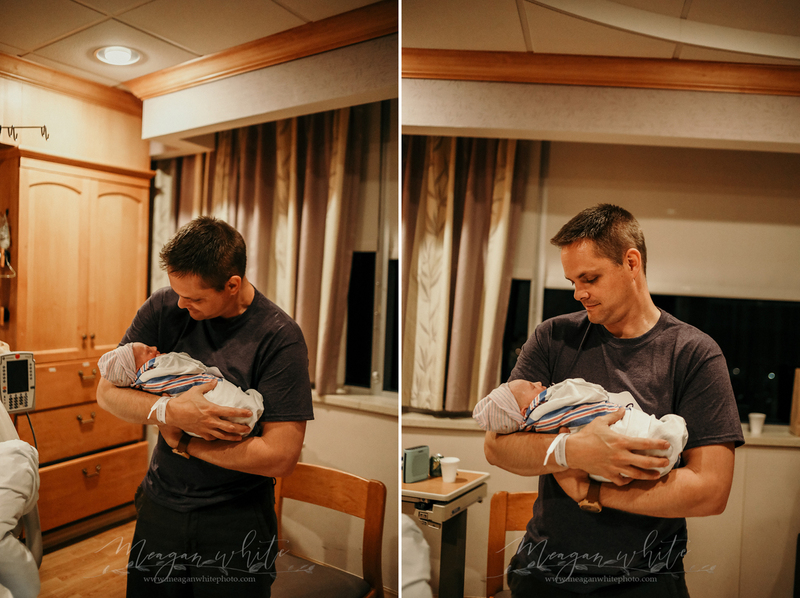 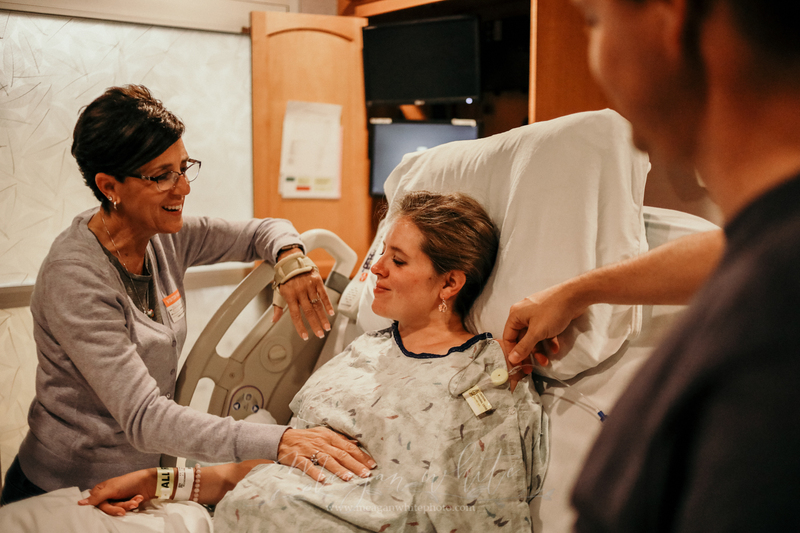 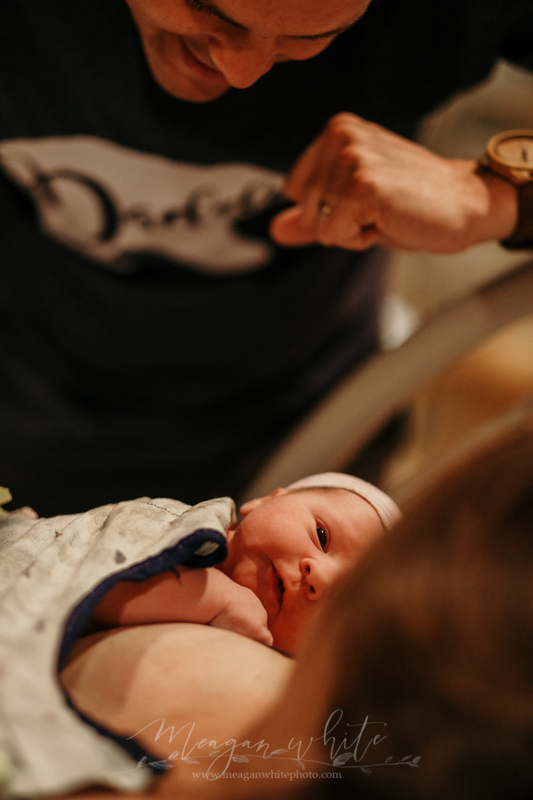 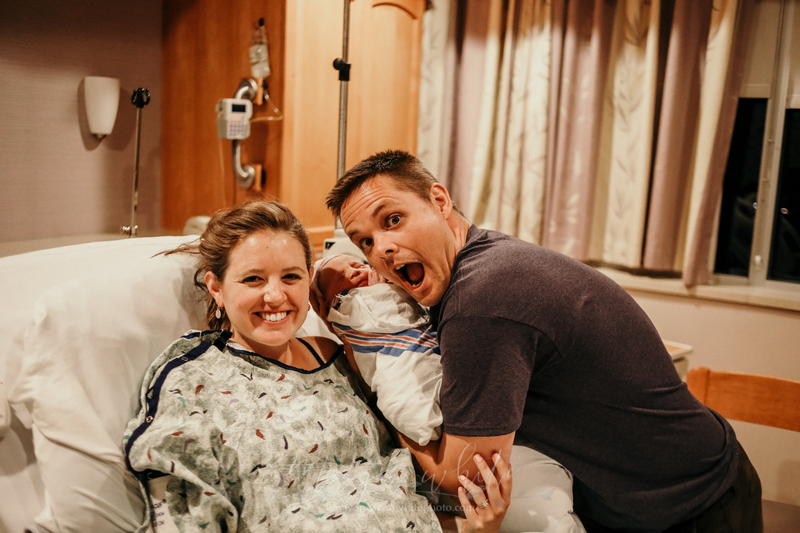 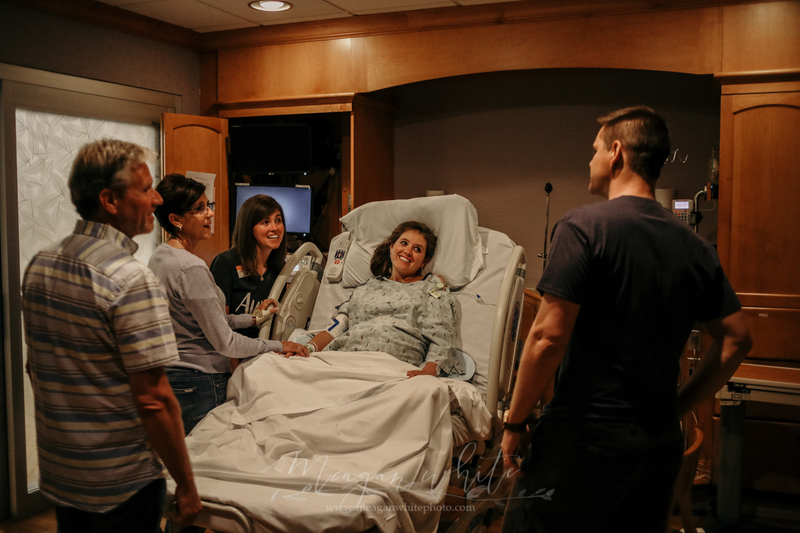 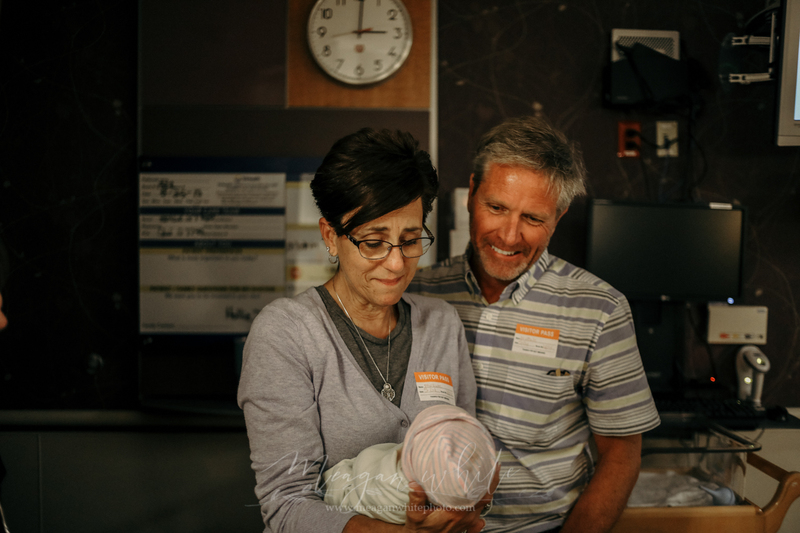 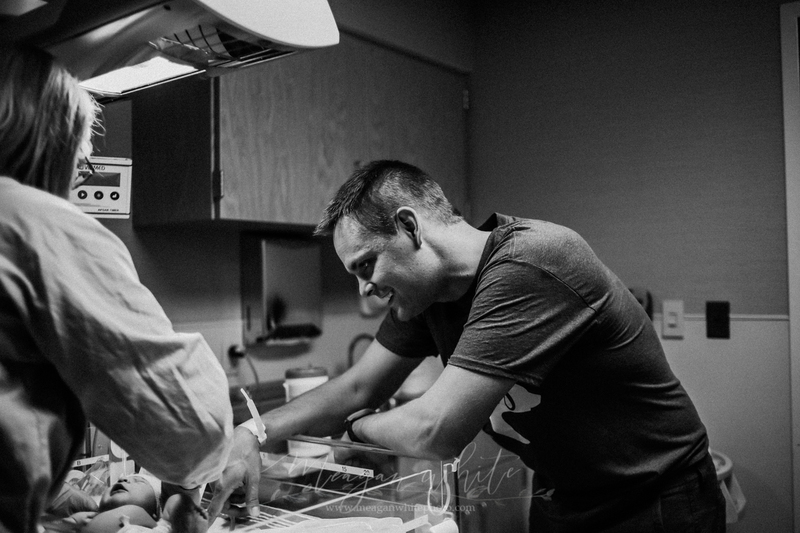 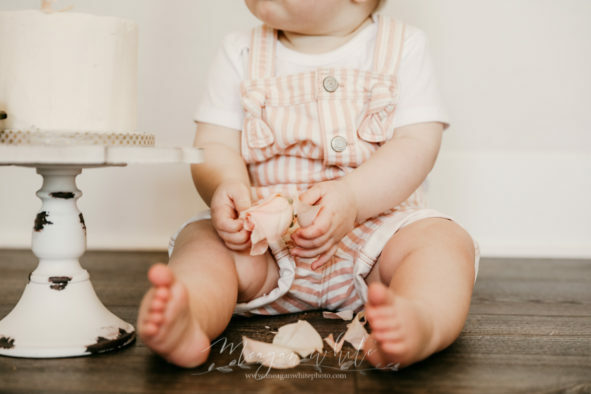 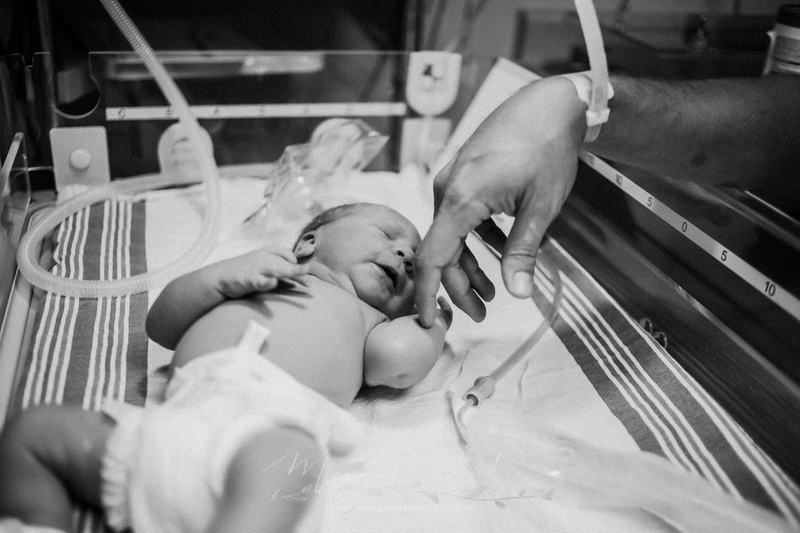 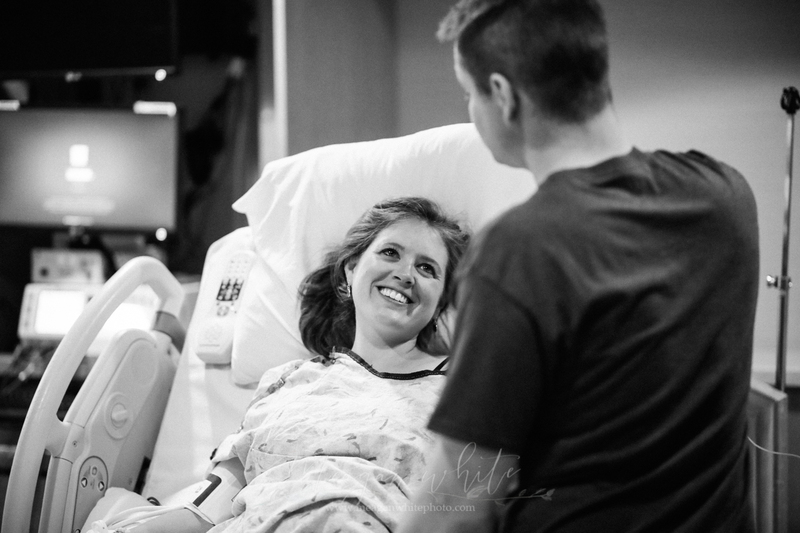 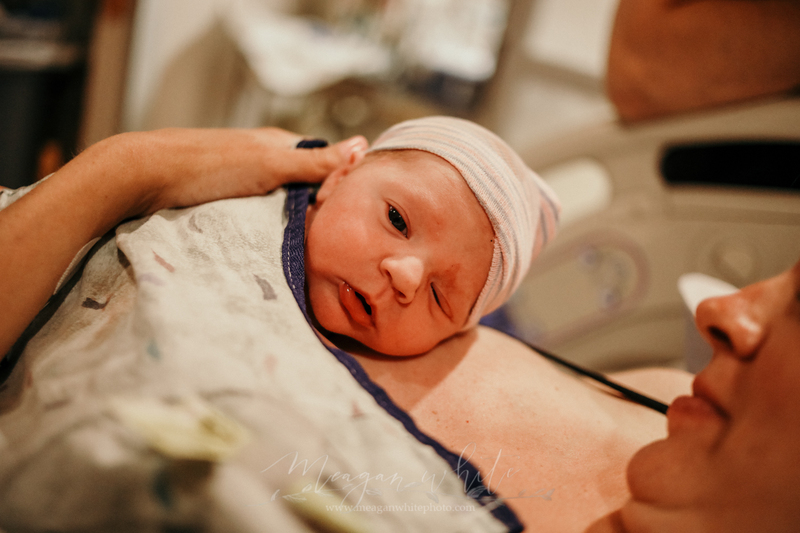 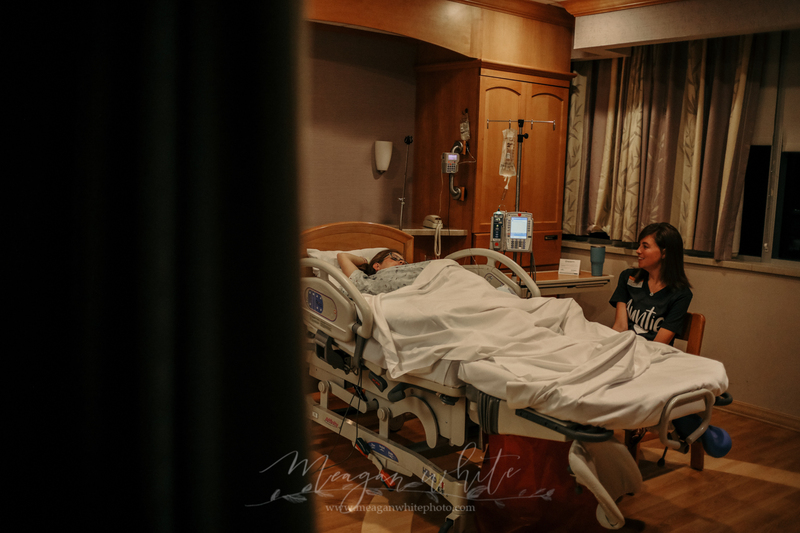 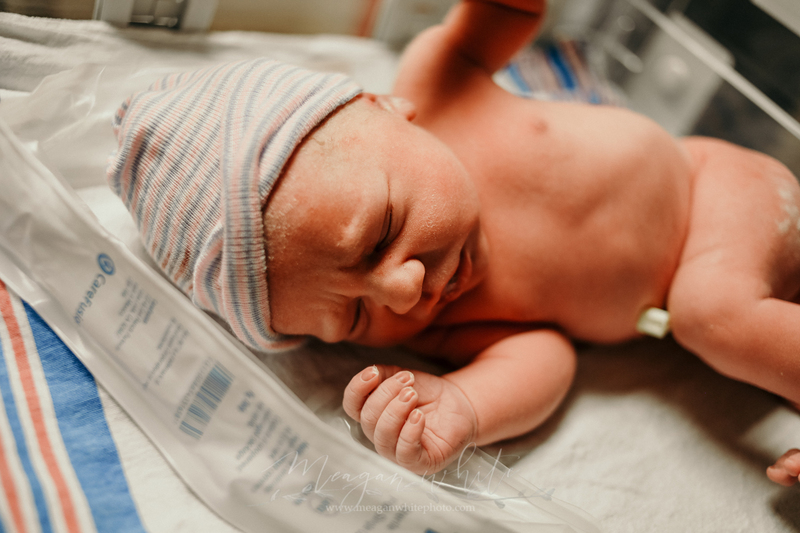 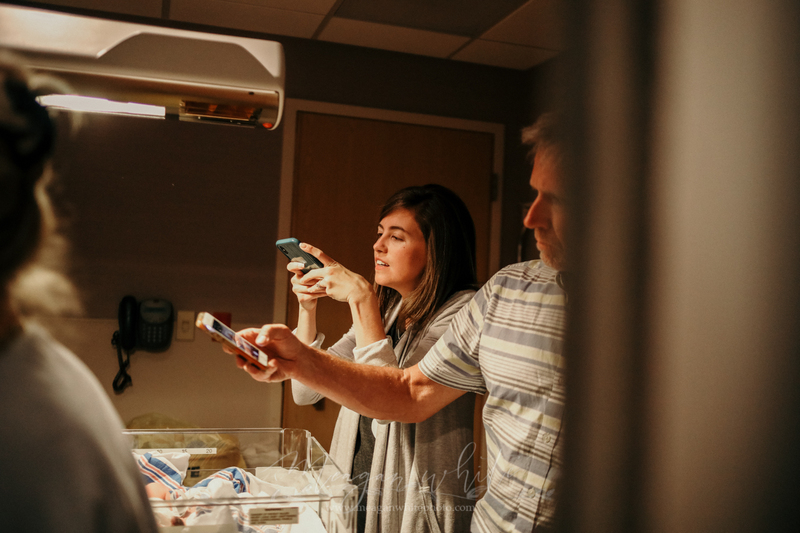 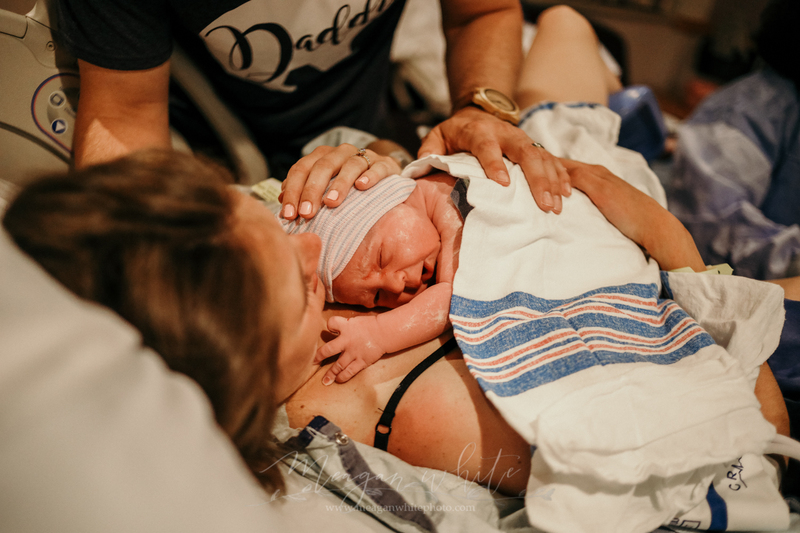 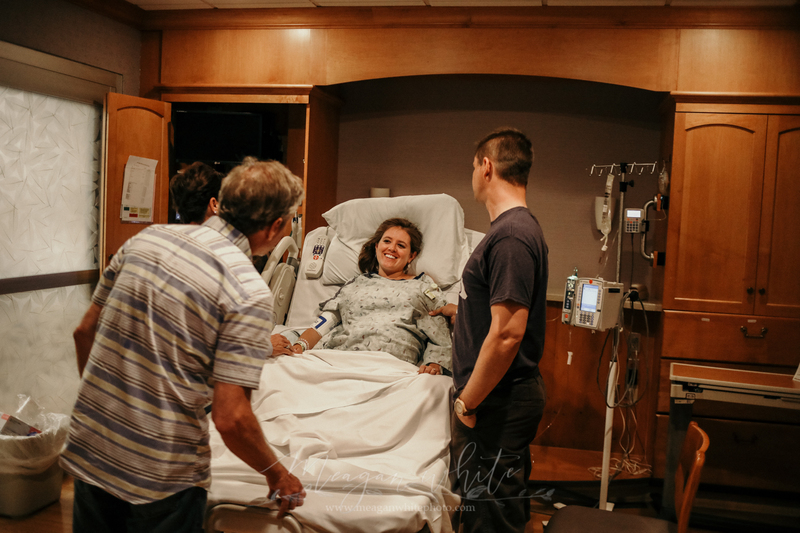 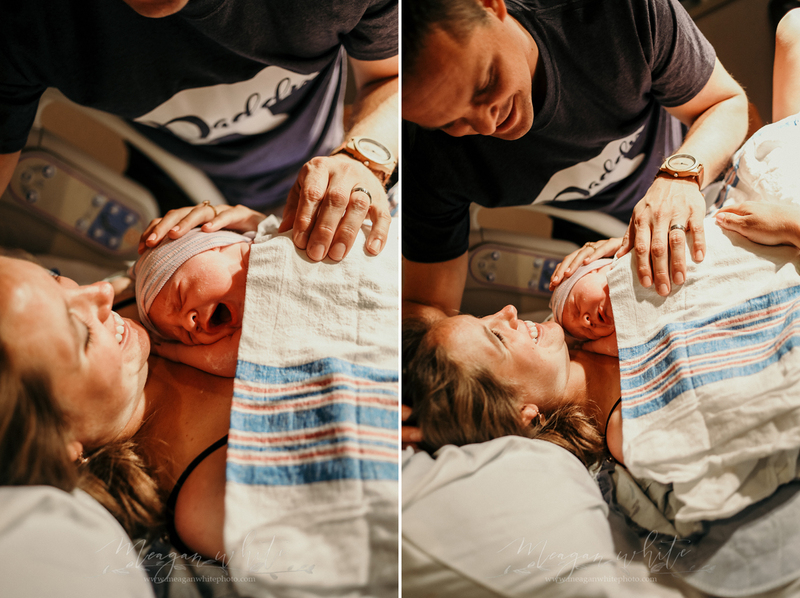 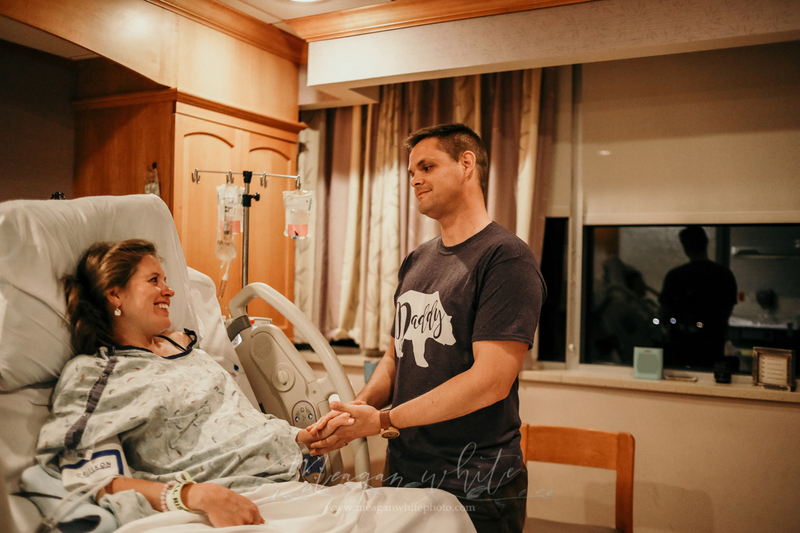 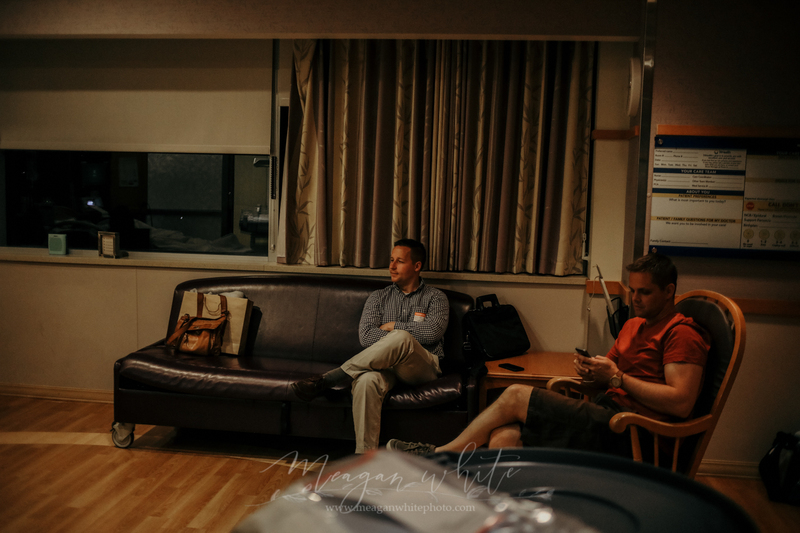 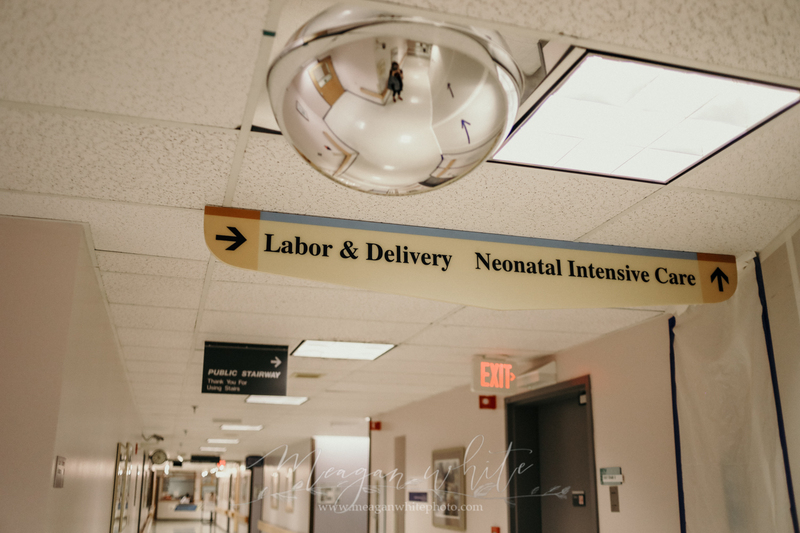 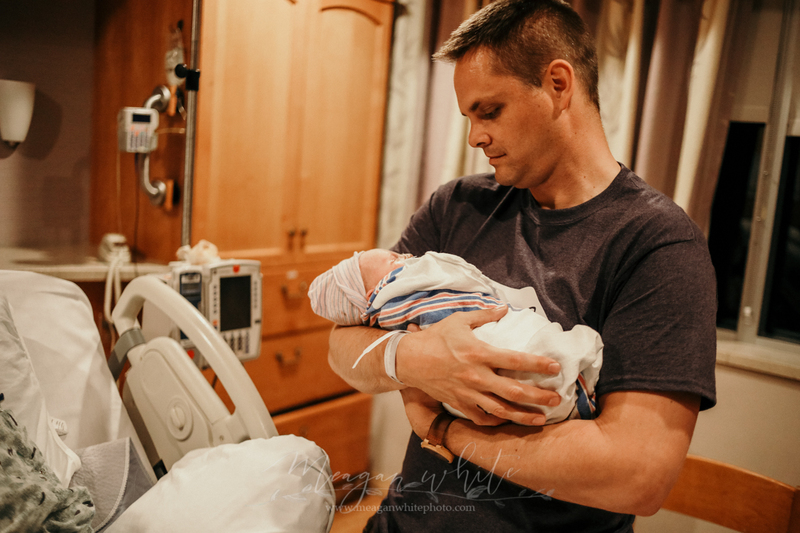 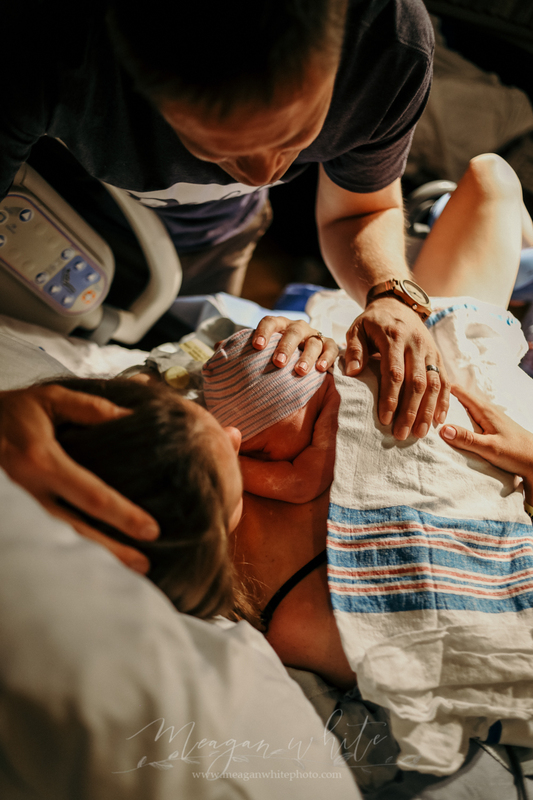 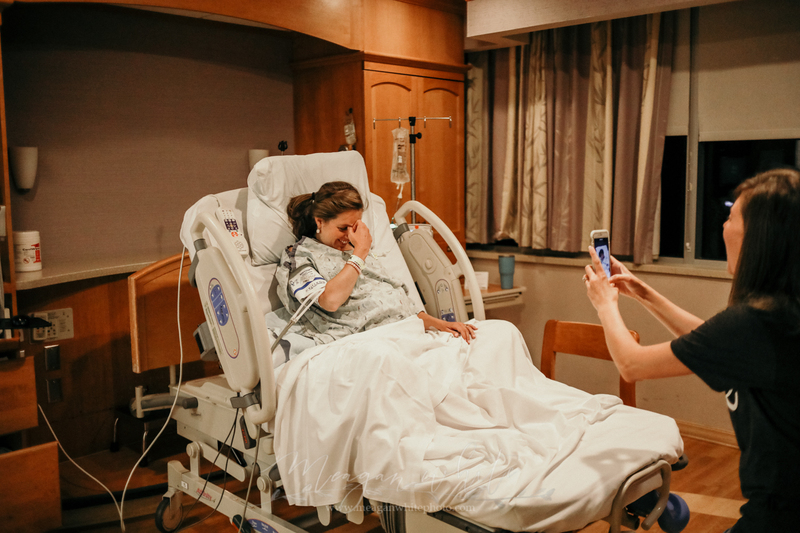 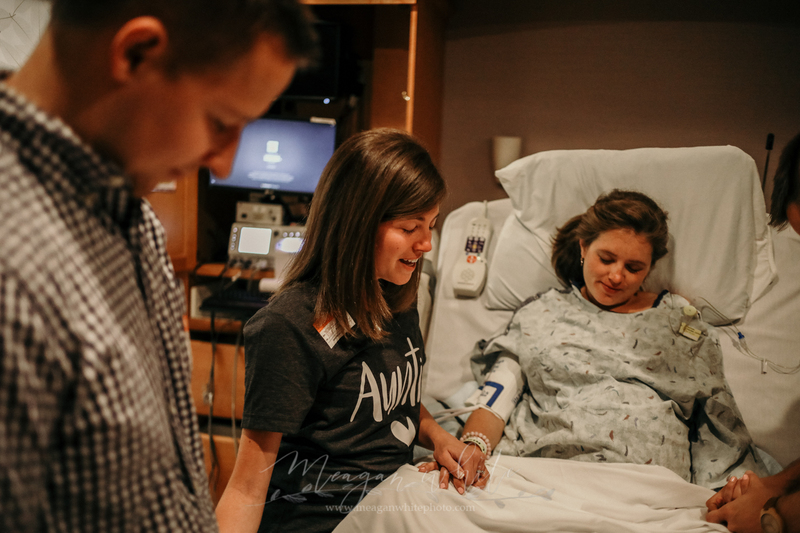 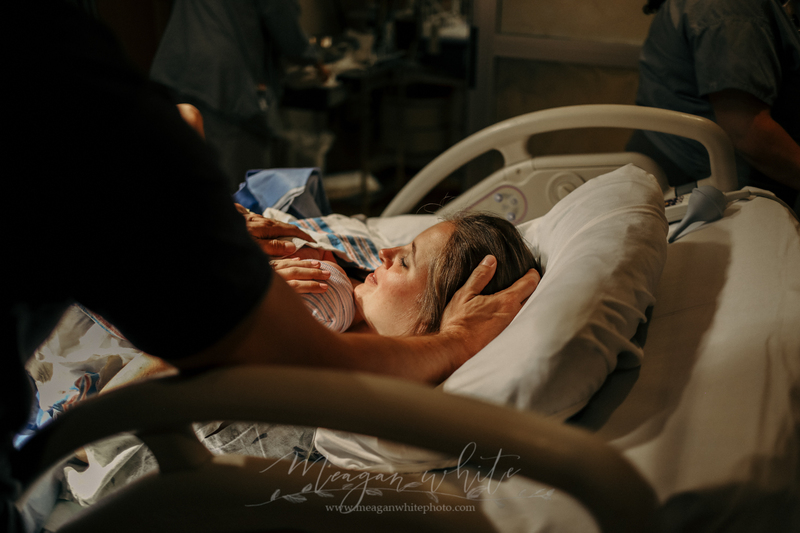 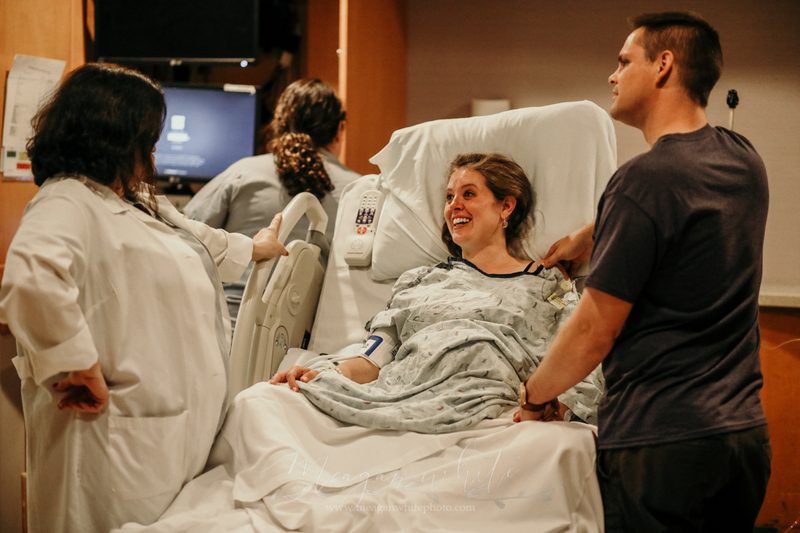 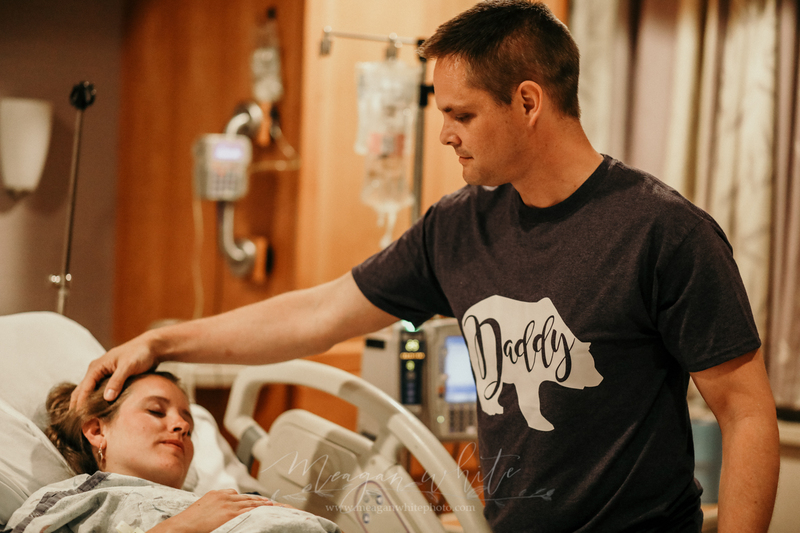 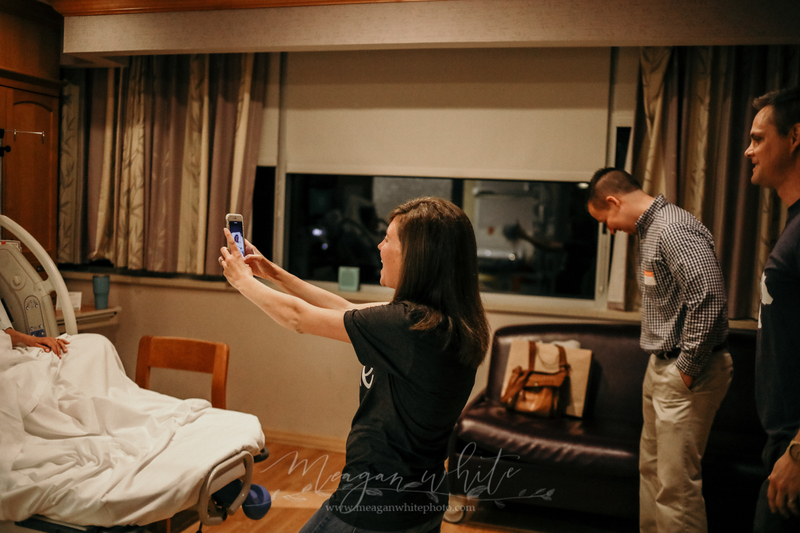 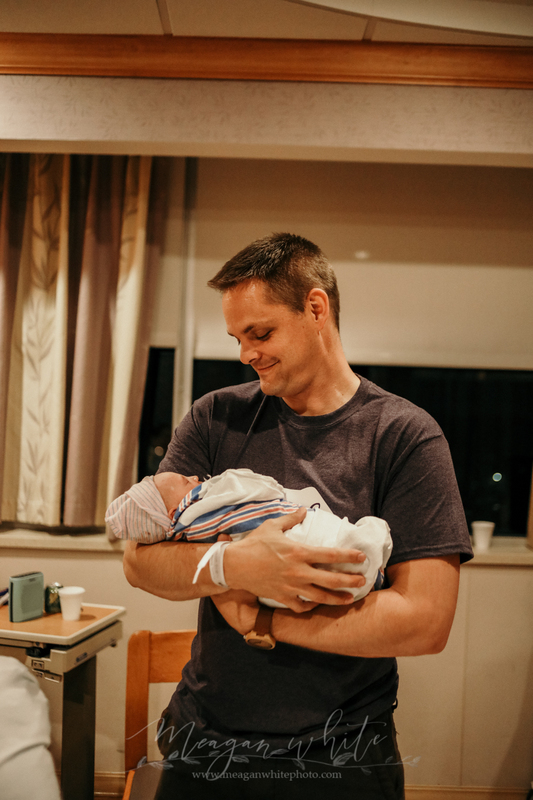 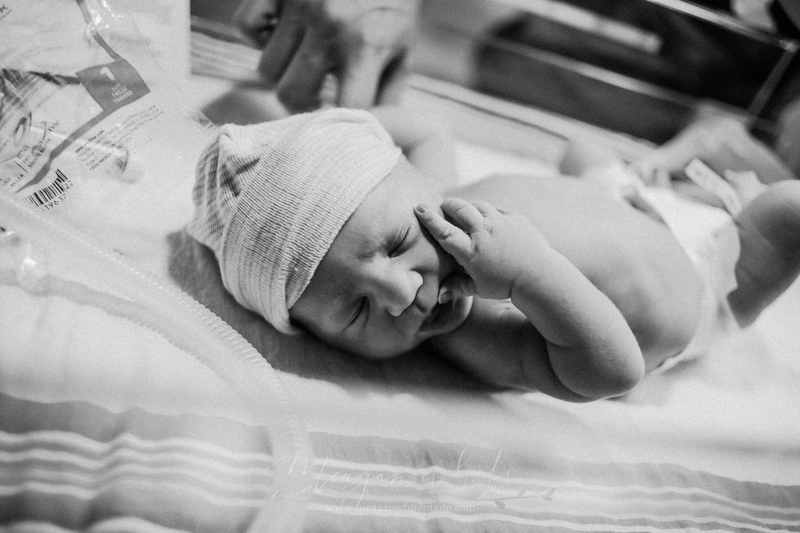 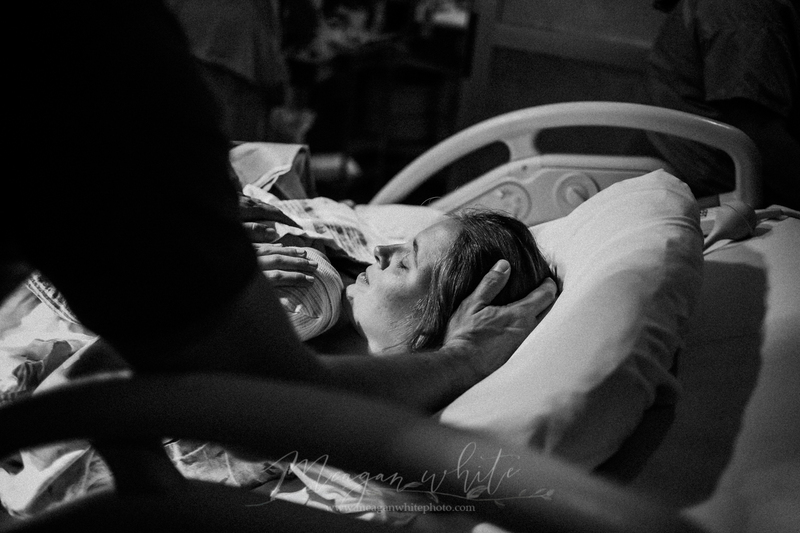 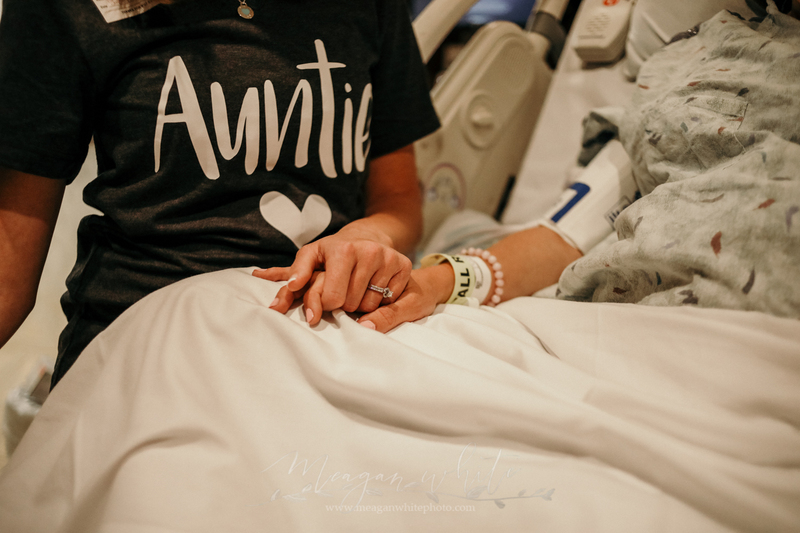 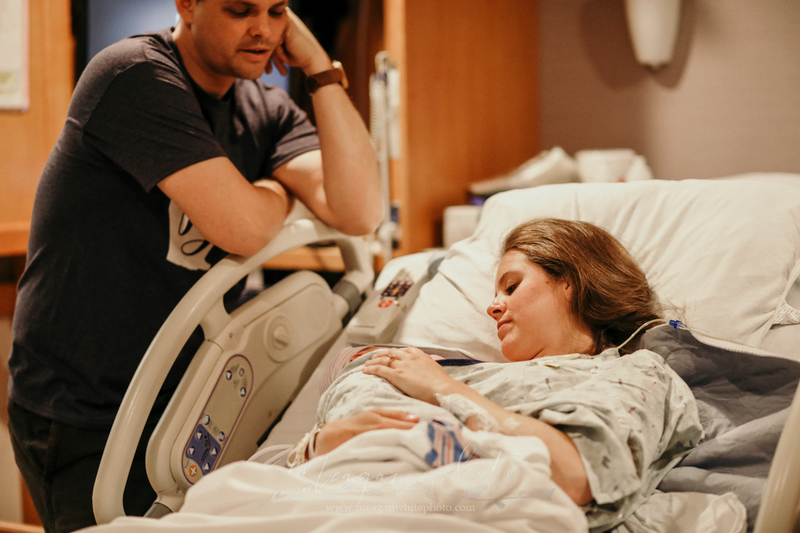 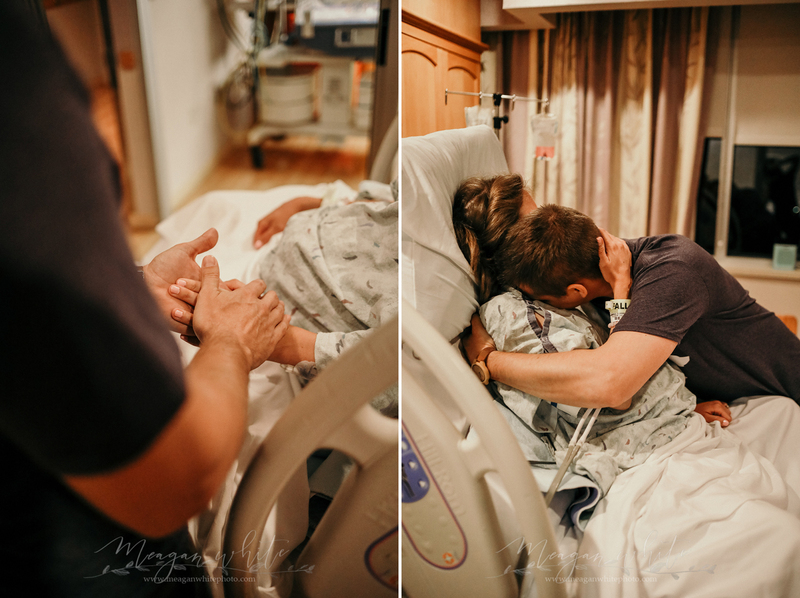 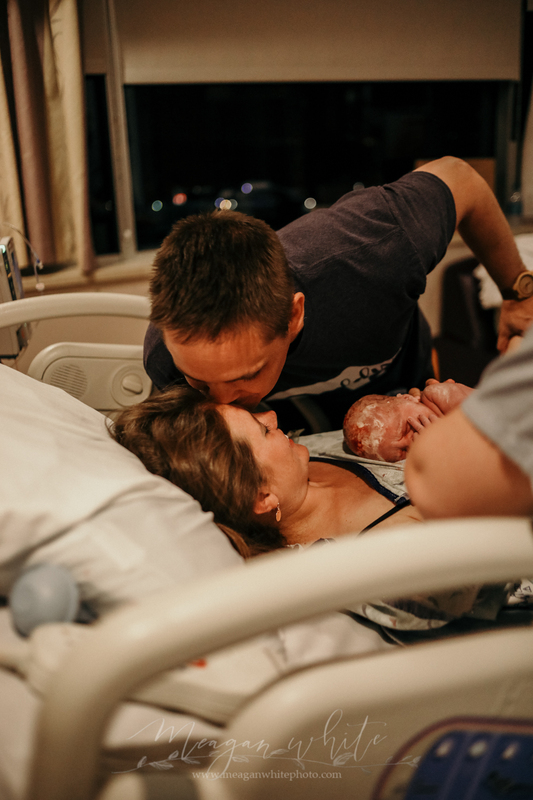 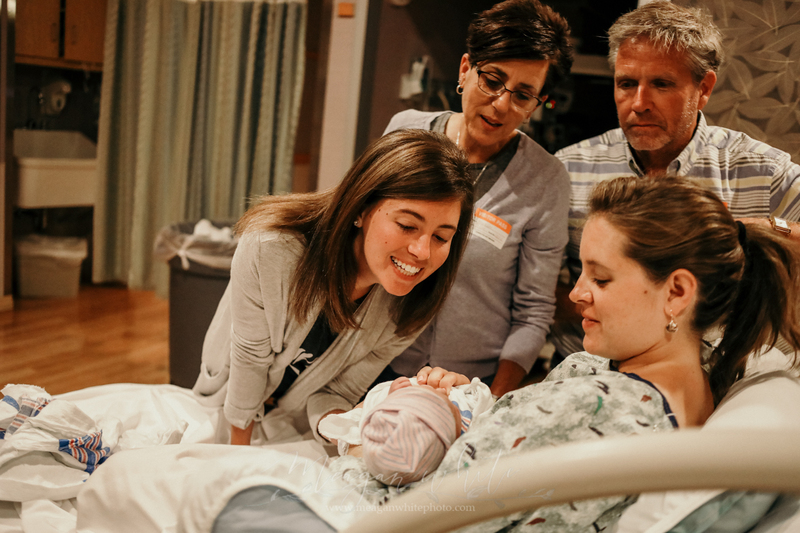 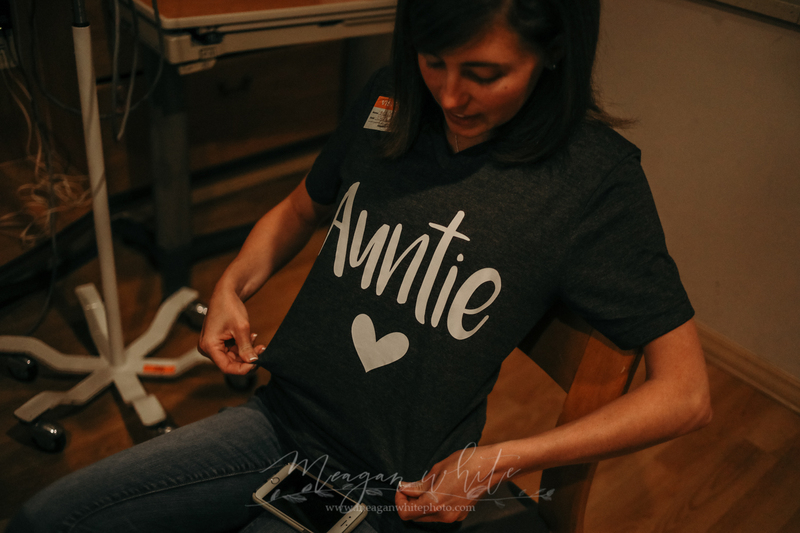 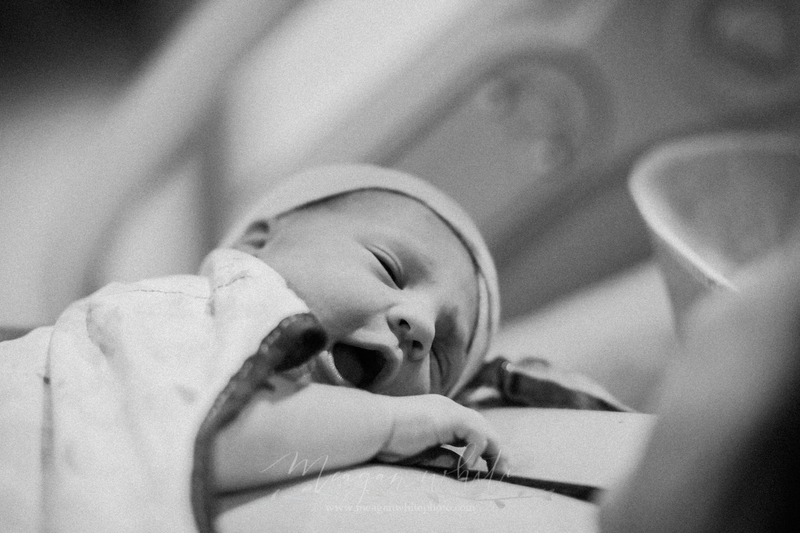 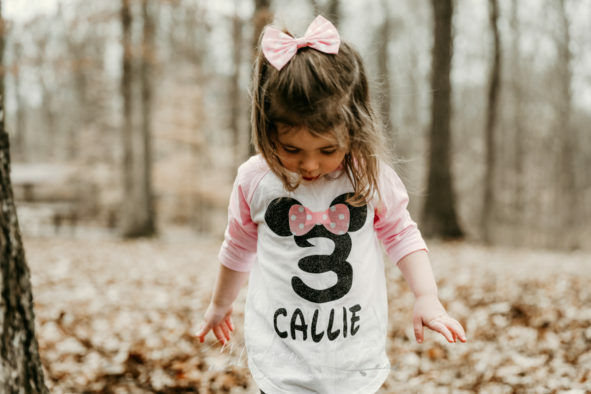 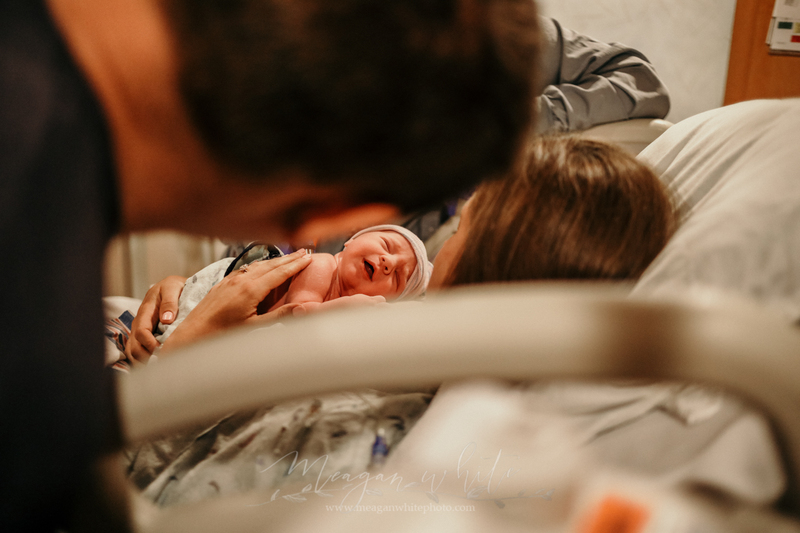 Some of my favorite birth story images are these… everyone is waiting, full of anticipation, no one knowing when everything will change forever. 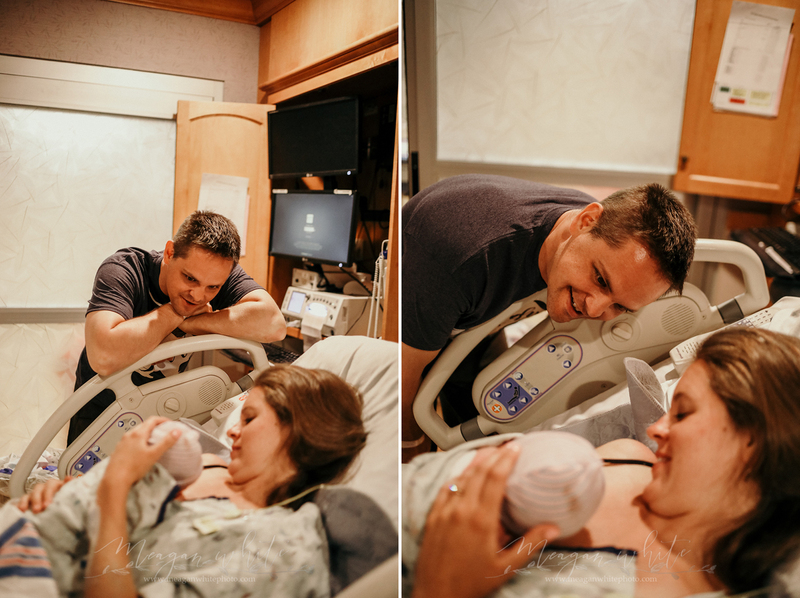 Learning it was time to meet their son. 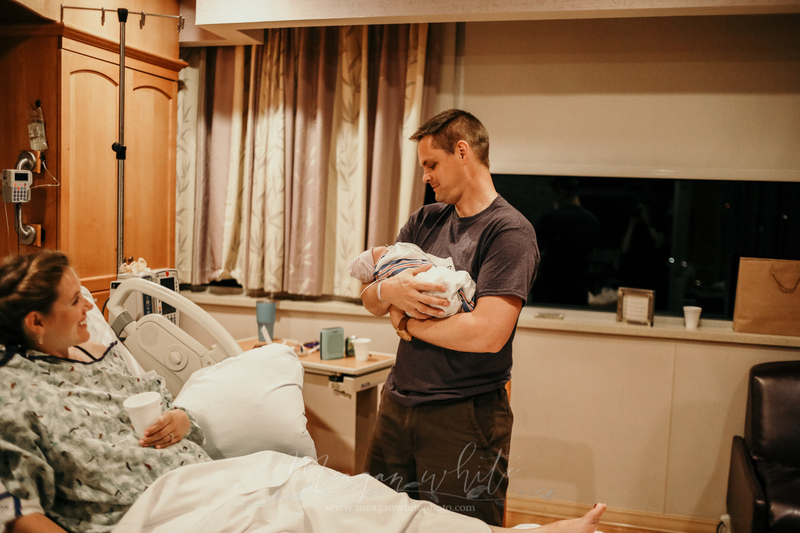 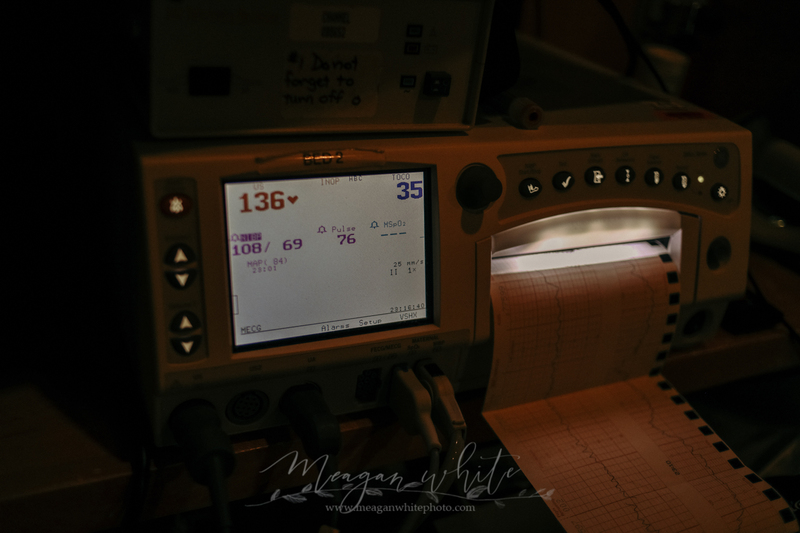 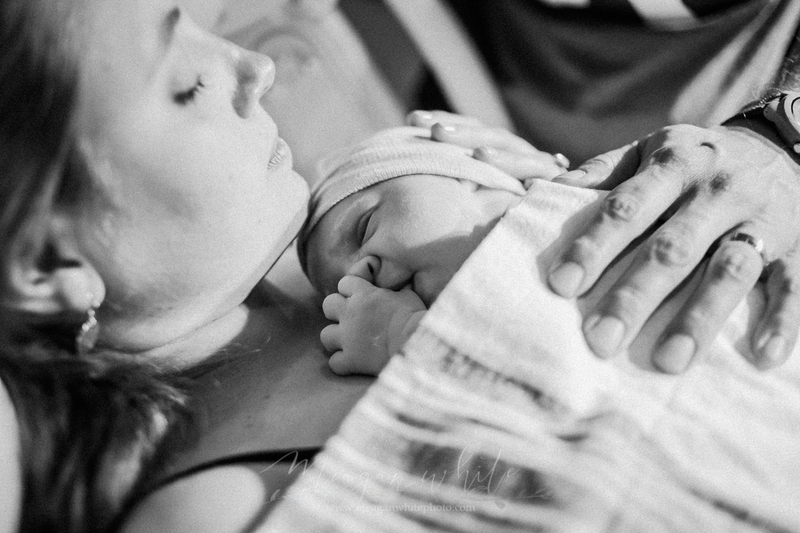 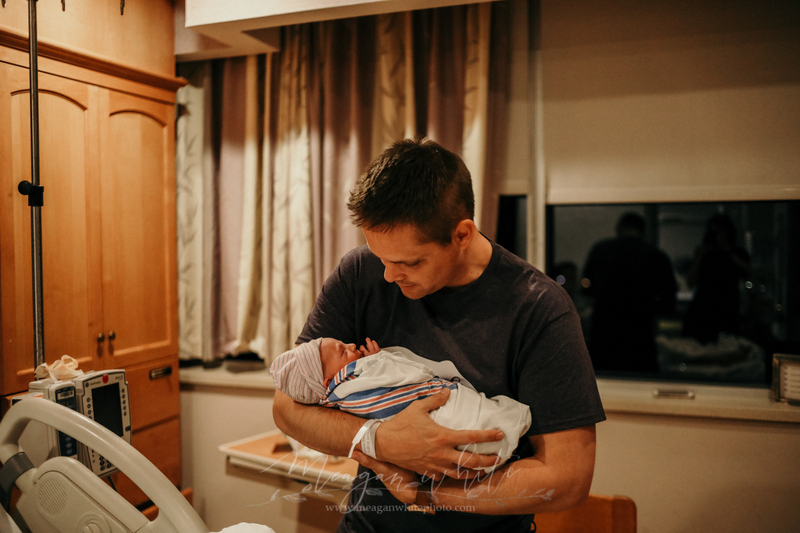 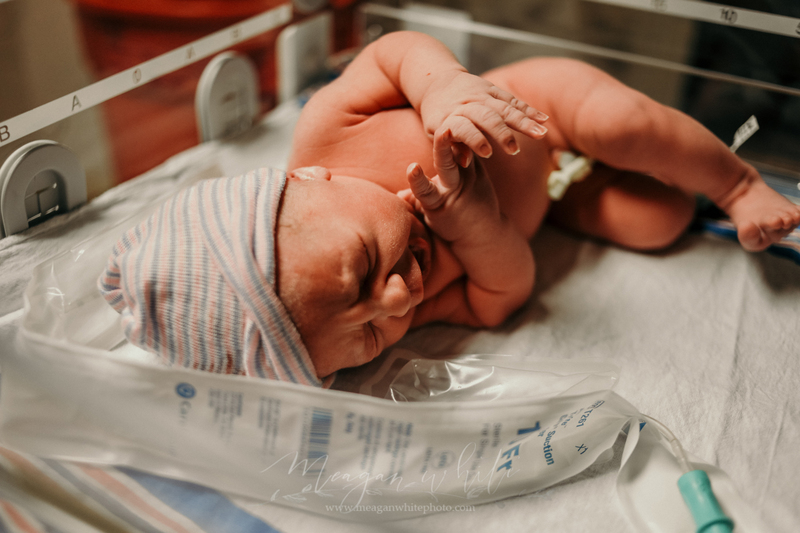 This next part of this birth story is theirs to share, so I am keeping these photos to a minimum. 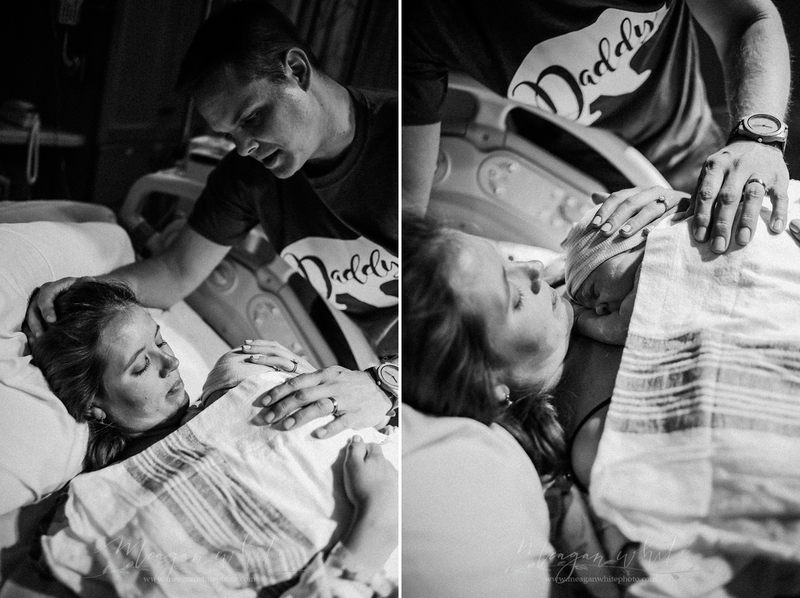 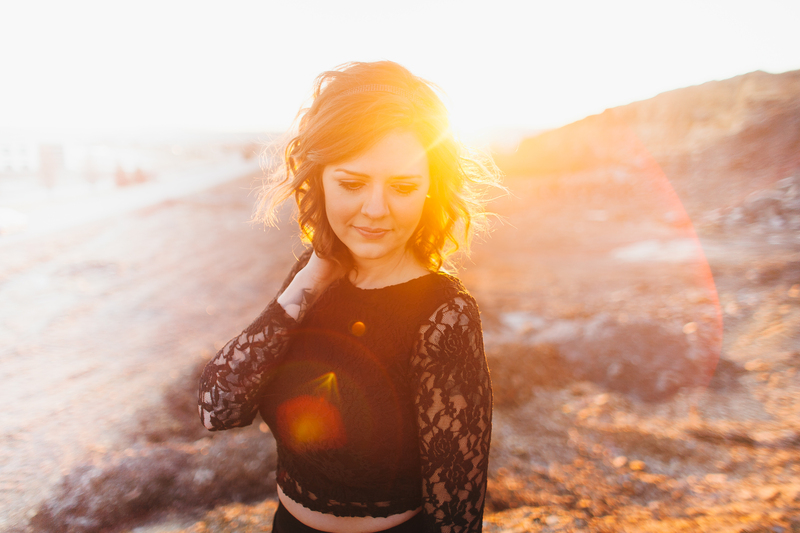 :) I will say that Emilee delivered beautifully with Darin by her side. 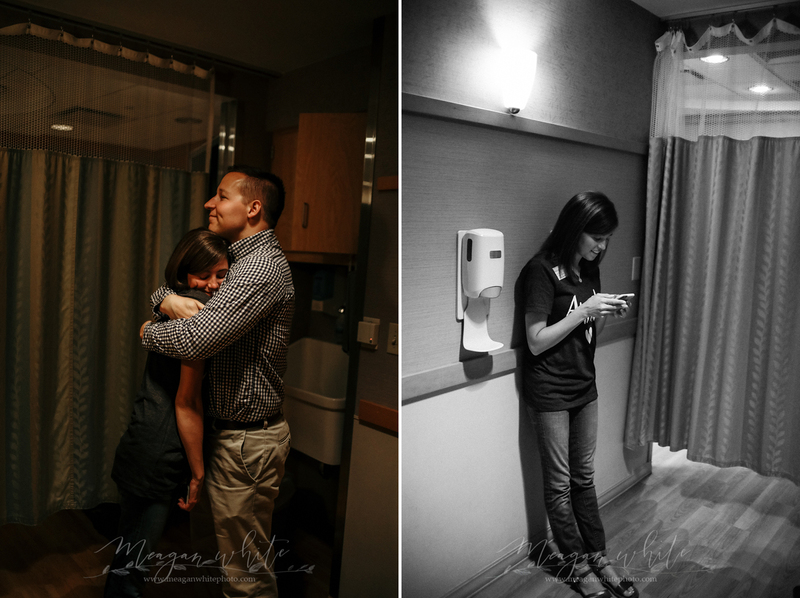 It was an honor to witness and document it for them. 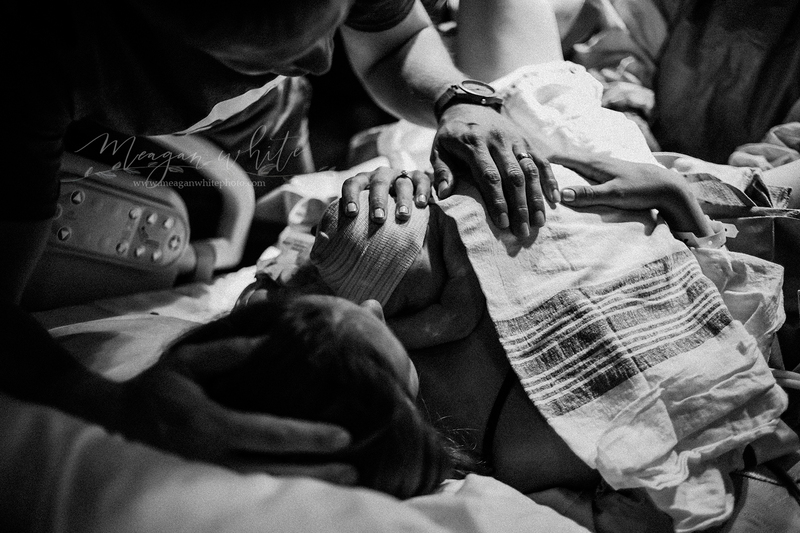 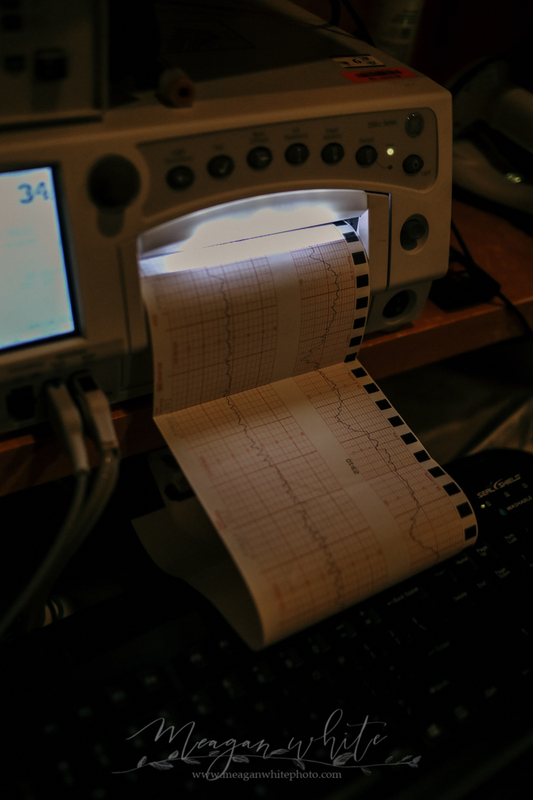 If there’s one thing I know about births, it’s that they are unpredictable. 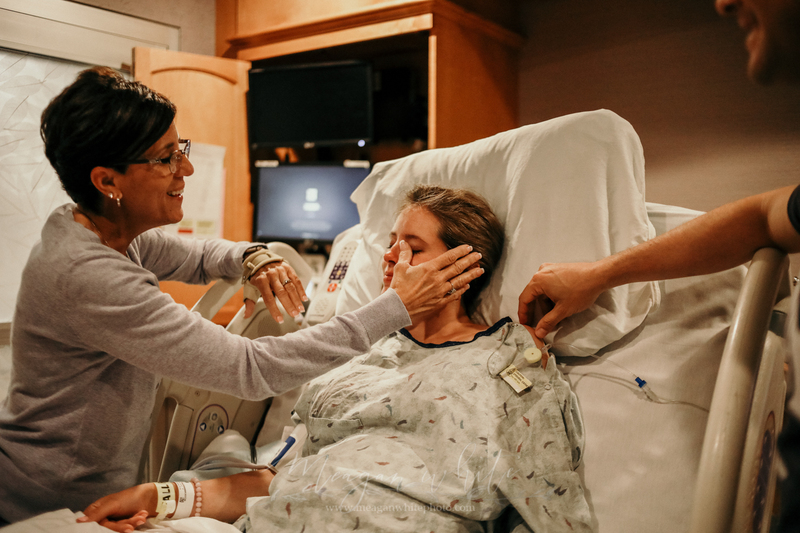 For example, you might get a phone call letting you know that momma has been admitted with hours of laboring ahead of her. 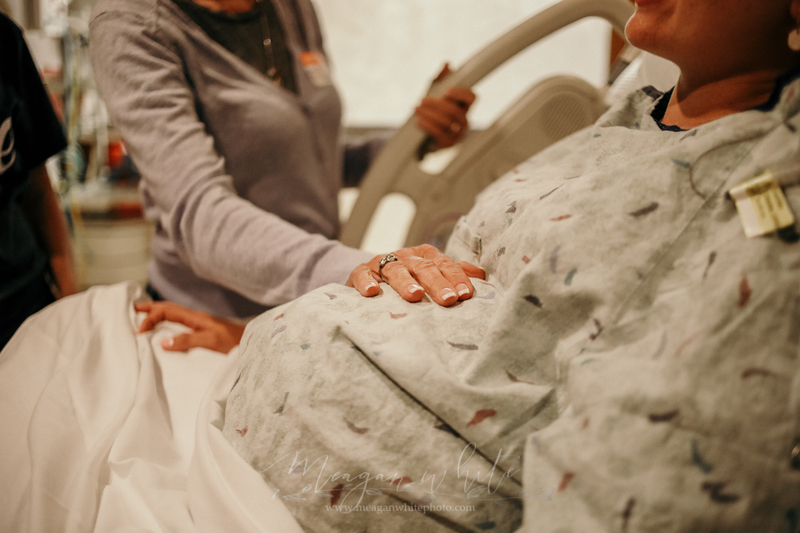 Then you arrive at the hospital a short time later to find out that she’s actually ready to push, hours sooner than anyone thought. 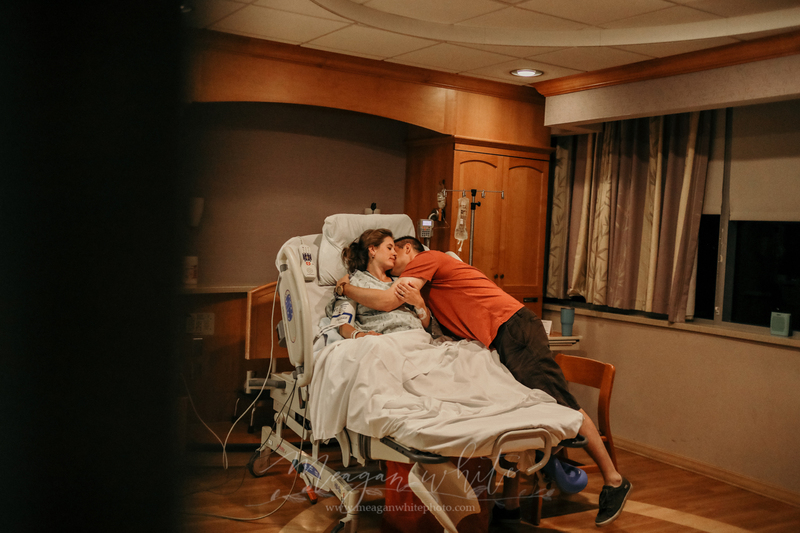 After being informed it could take a while to get the hang of things, that same momma might have her baby boy in her arms in a matter of minutes. 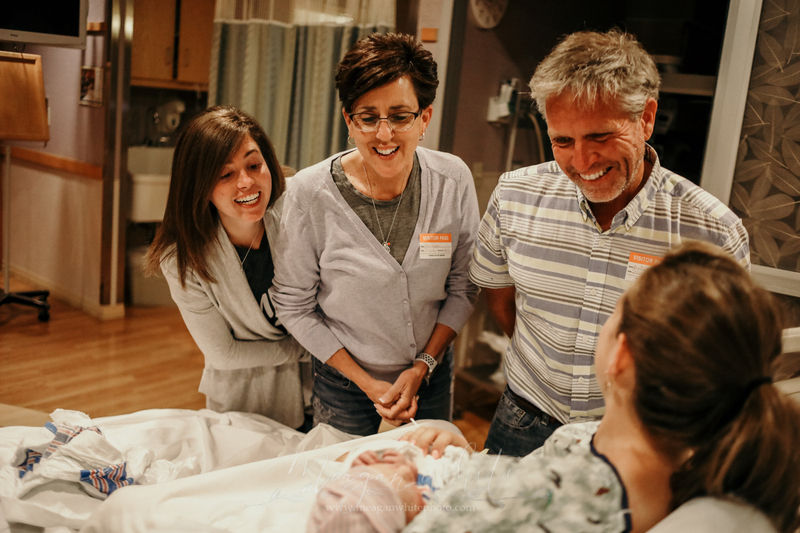 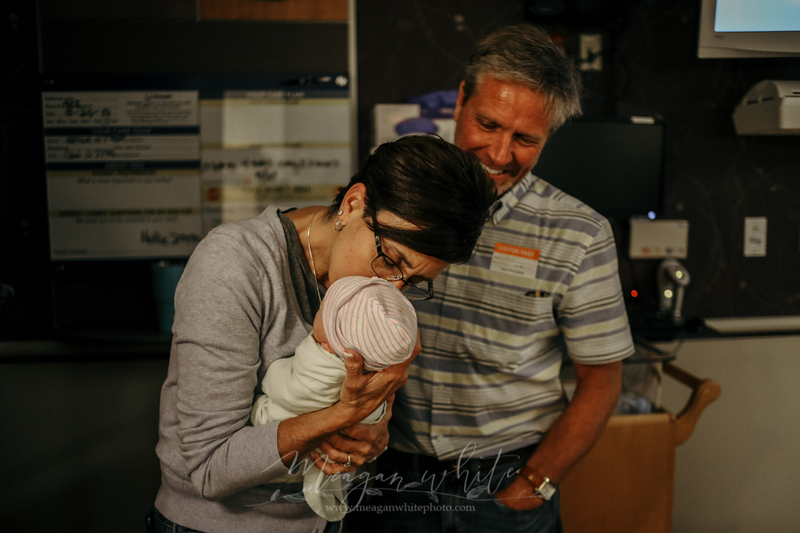 You truly never know how a baby will make his grand entrance, and Levi made his spectacular debut in the best, most memorable way. 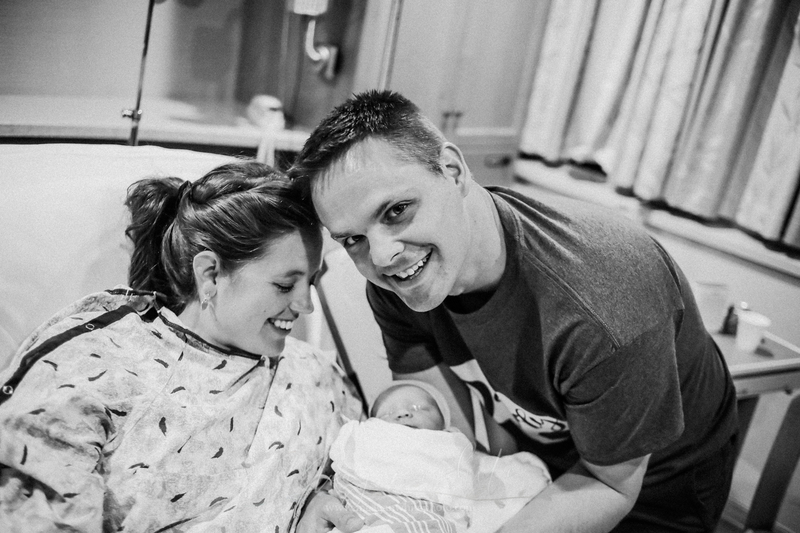 They welcomed Levi at Good Samaritan Hospital. 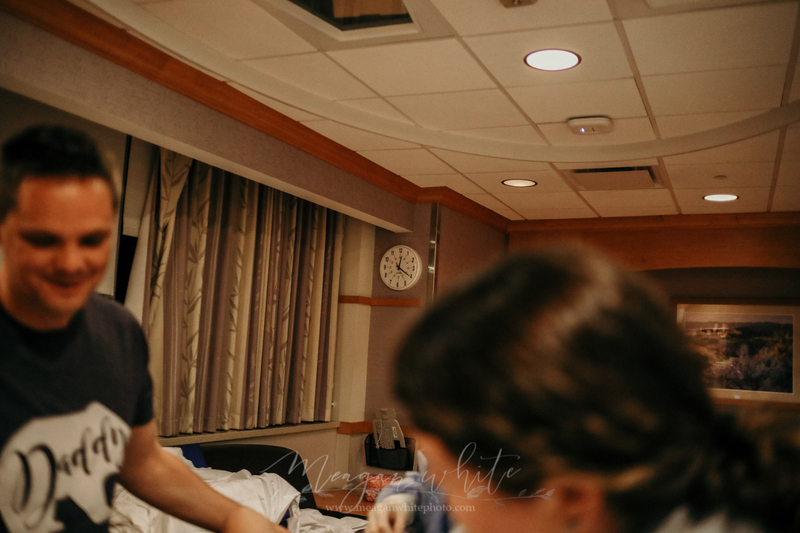 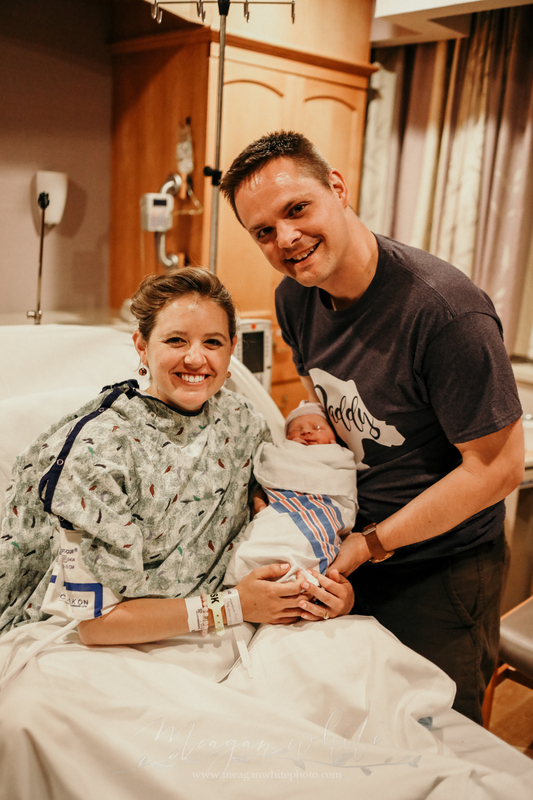 I love when a hospital values the time a baby spends with his momma – these three had over an hour of quality time together before Levi ever left his momma’s arms. 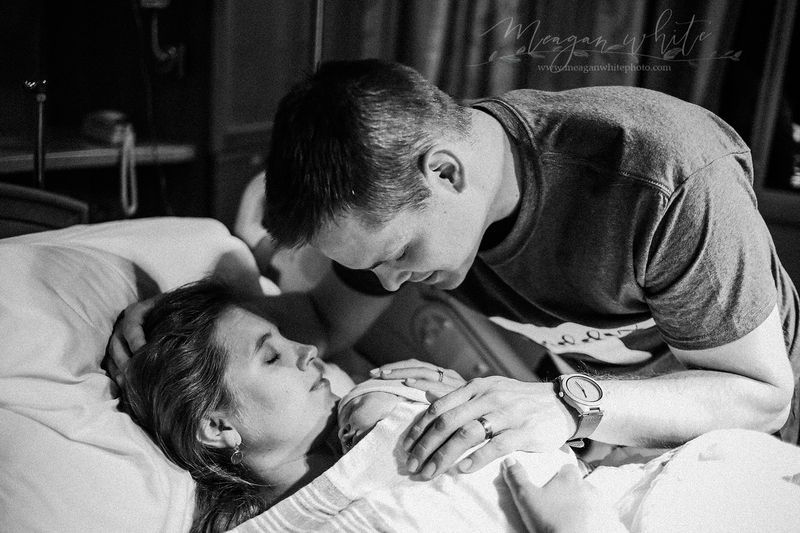 Mirantes, you know me well enough to know it’s not like me to be left without something to say. 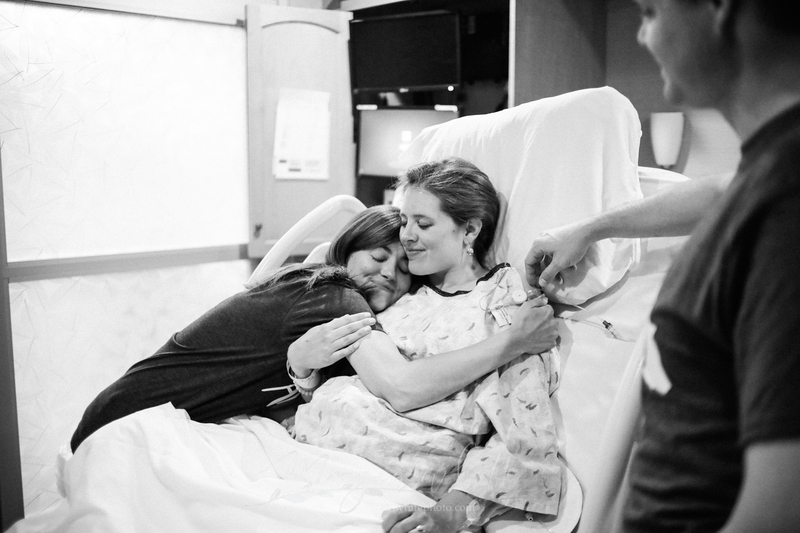 :) However, here I am, unable to find the words to say thank you. 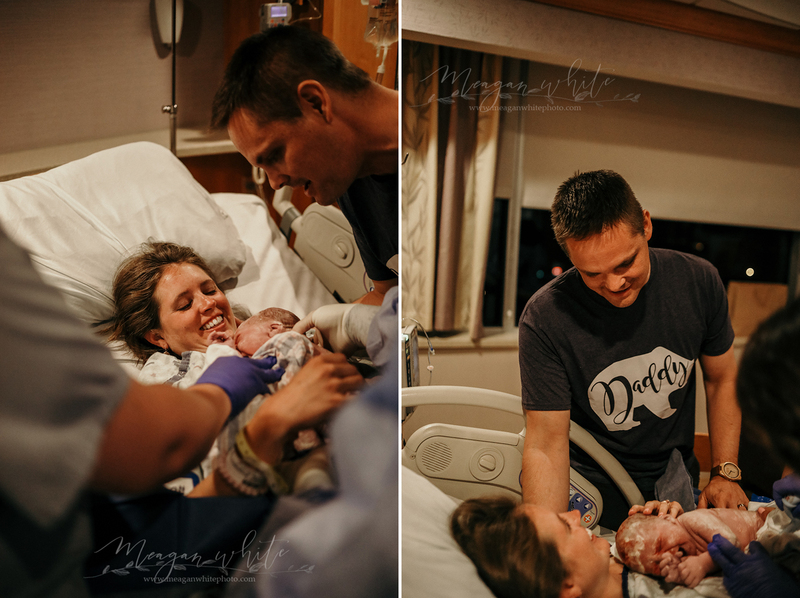 You three are a gift and to document this perfect and beautiful BIRTH day was an honor like no other. 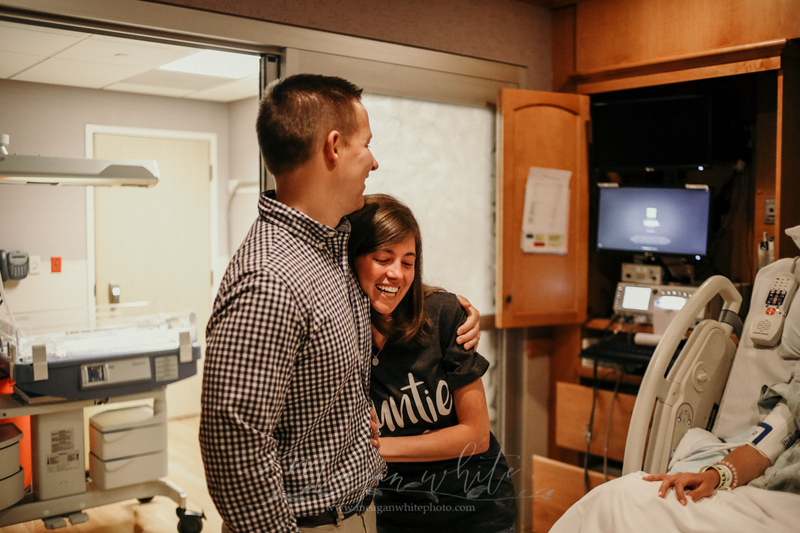 I love getting to stick around to watch family be introduced to their newest joy. 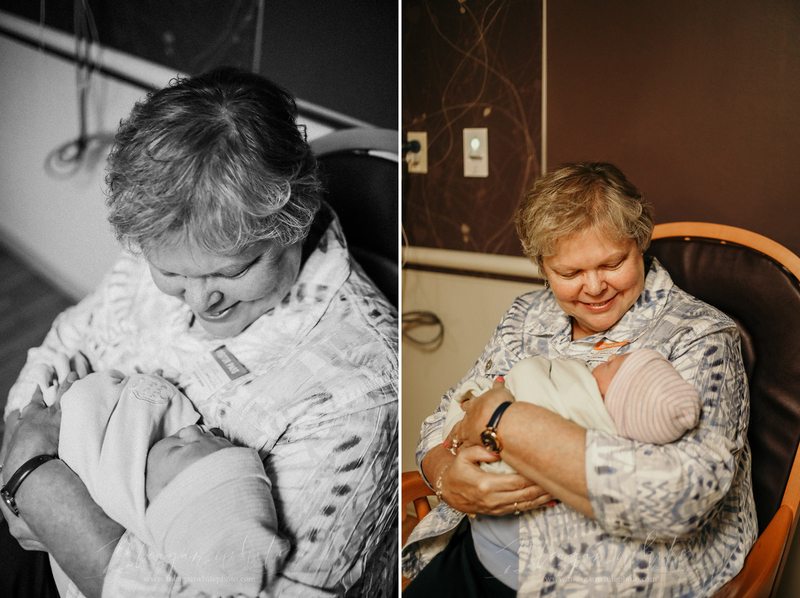 These grandparents and auntie made my day (it doesn’t hurt that I absolutely adore all them anyway).